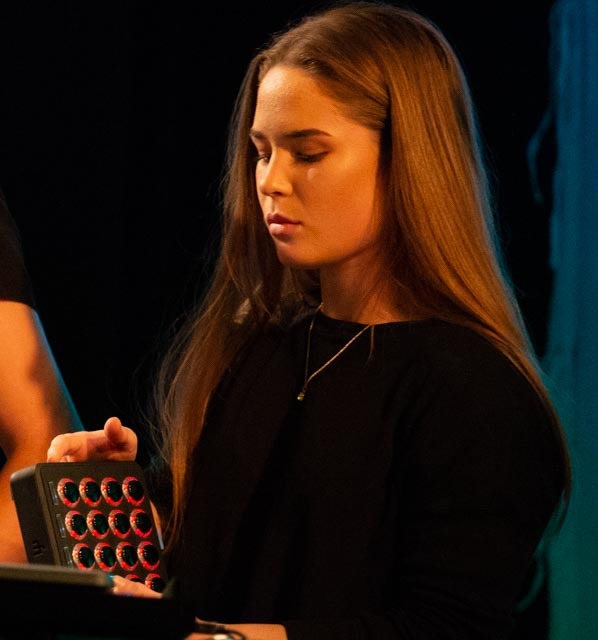 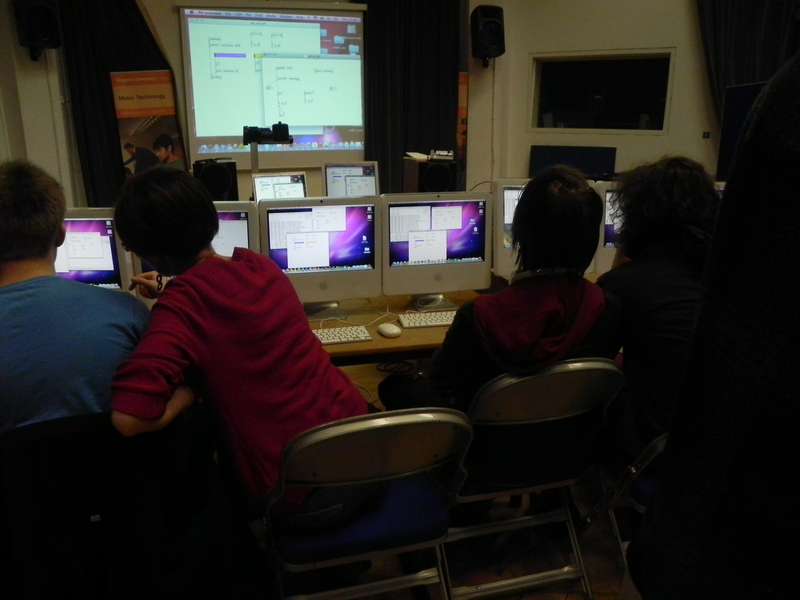 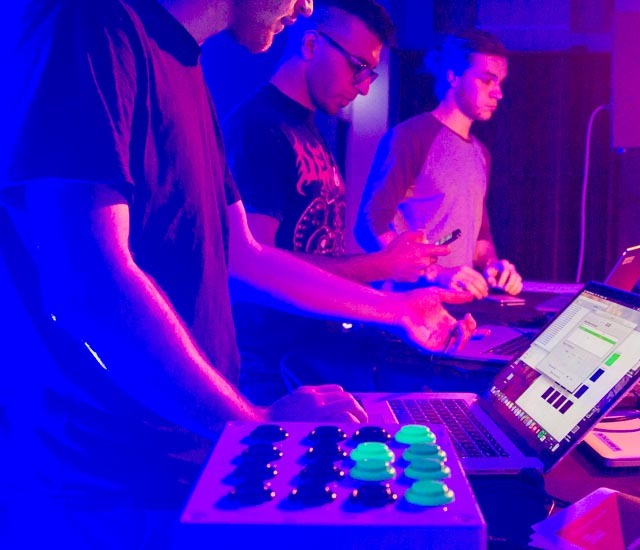 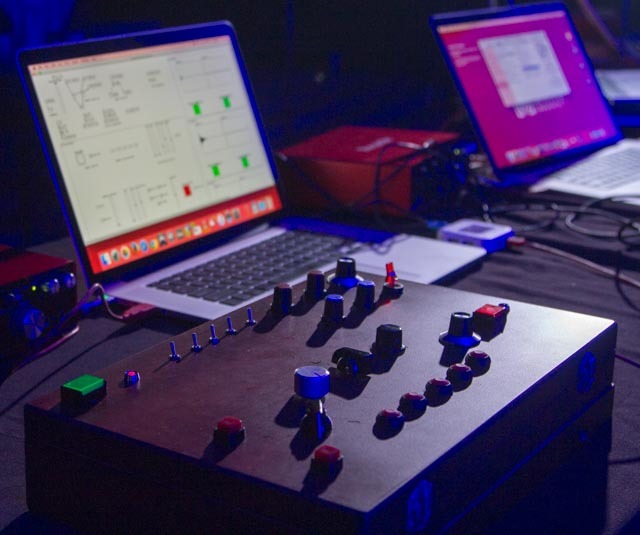 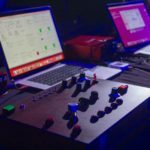 In the second half of 2018 I introduced Touch Designer (TD) to final-year music technology students through Music Technology Live Capstone (3720QCM) and to second year students via Multimedia Project (2723QCM). 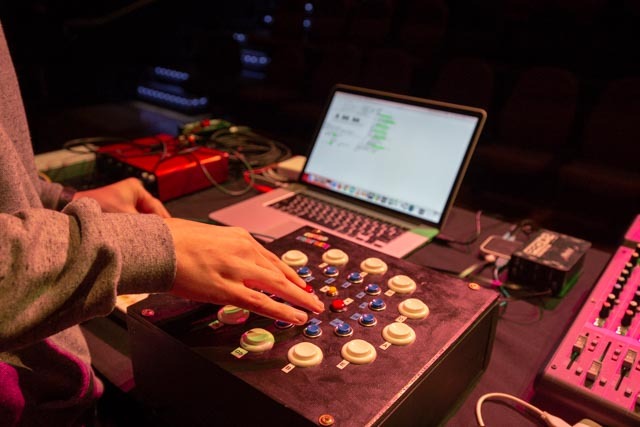 Both courses have an emphasis on the creation of original material and both result in live concerts that are performed in surround sound. 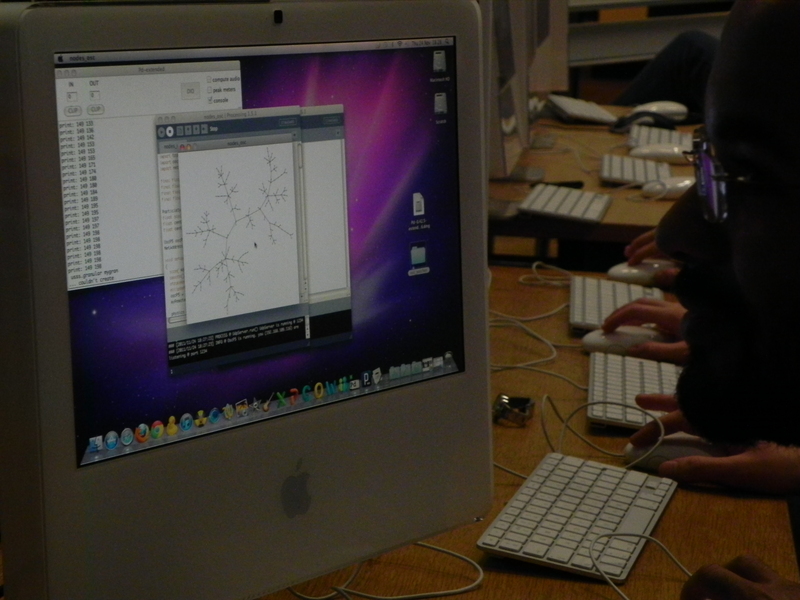 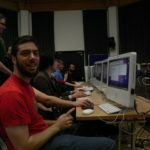 TD is a deep and complex program that I’m only just beginning to get grips with, but teaching is a good way to learn! 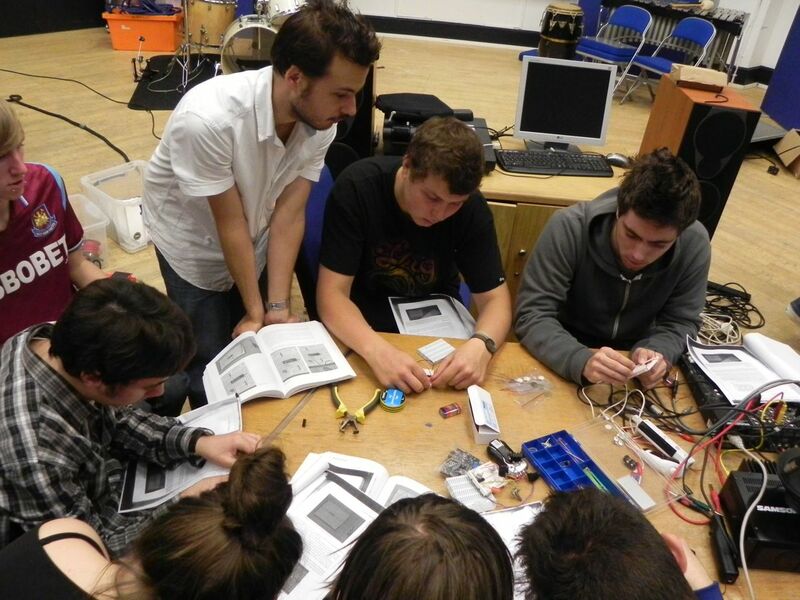 Highlights of student work below and my ‘Introduction to TD’ Prezi too. 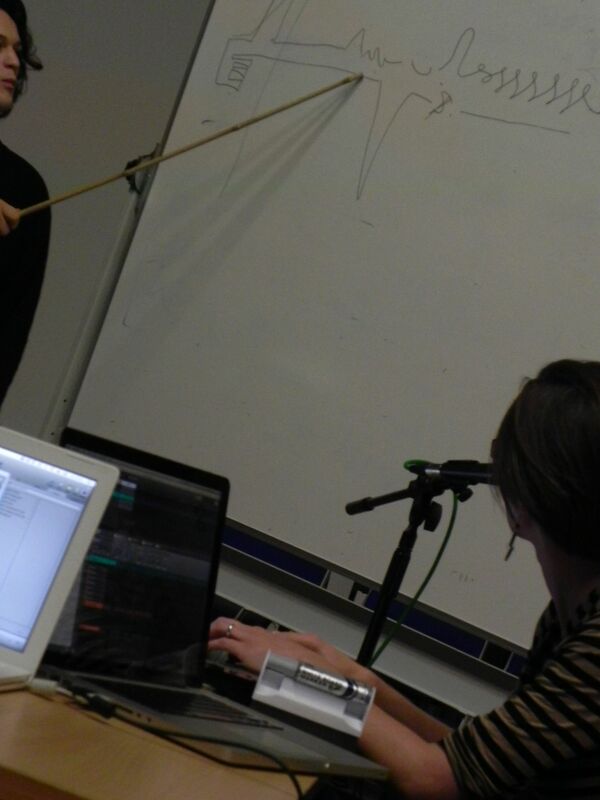 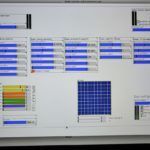 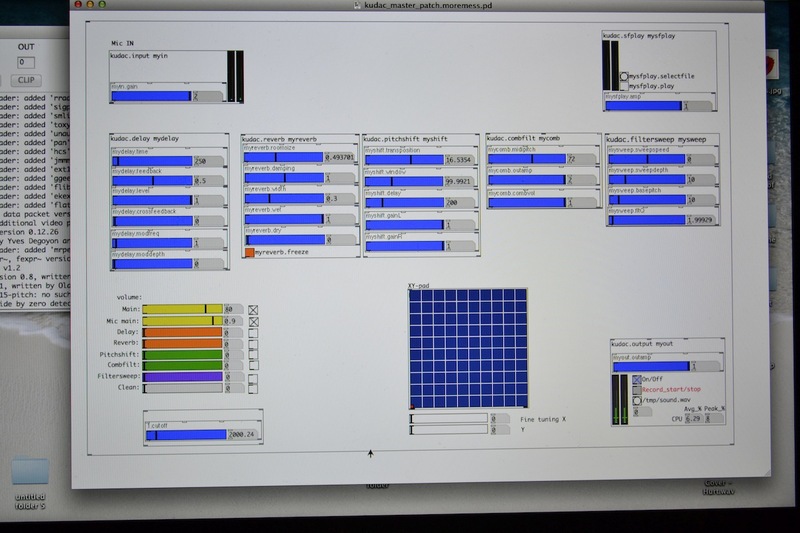 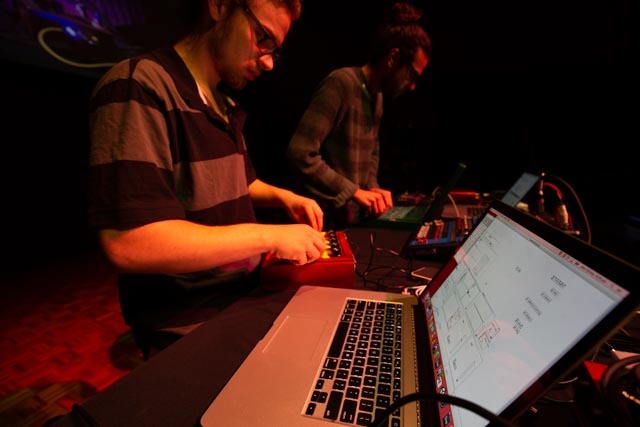 In the first half of 2018 I taught creation and performance with Ableton Live via 1710QCM Interactive Music to first year students while second year course 2710QCM Electronic Instruments focussed on hardware/Pure data (see HST1D). 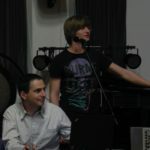 I also handed over 3713QCM Liveness in a Virtual World to Tom Green, this is a concept-driven course that I wrote and delivered for the first time in 2017, Tom did an awesome job. 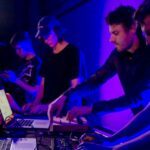 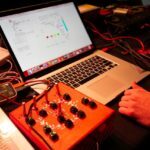 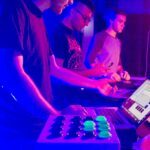 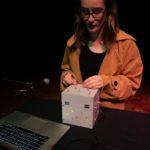 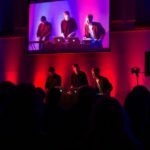 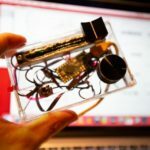 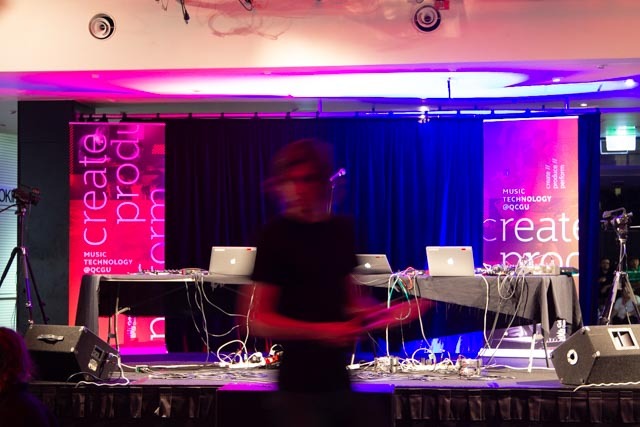 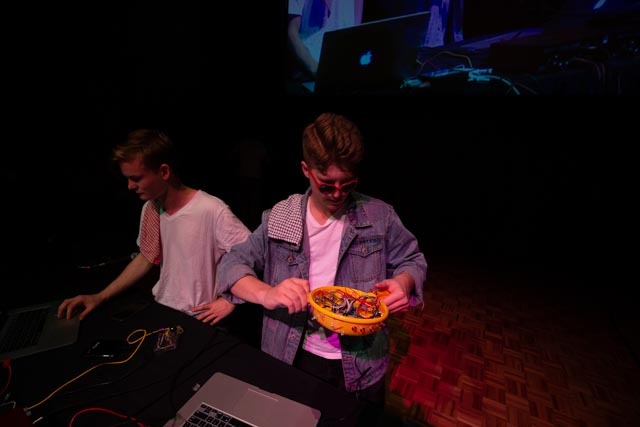 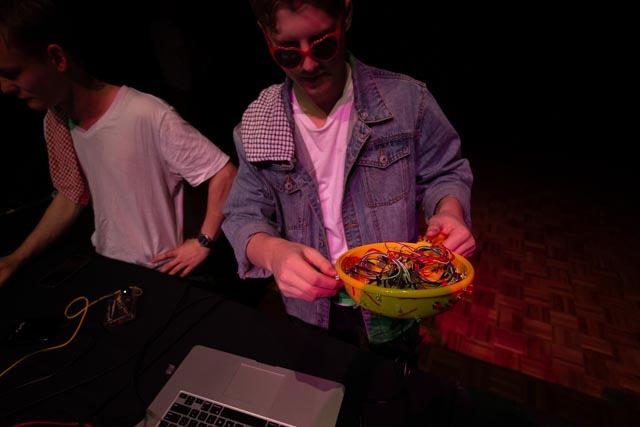 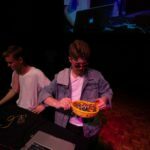 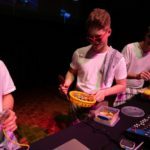 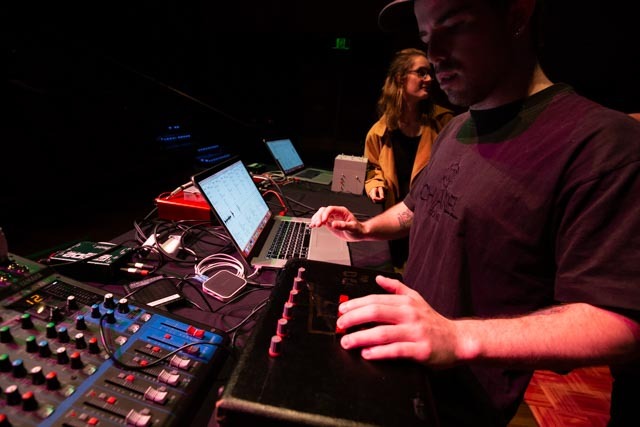 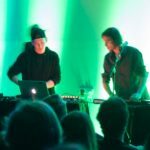 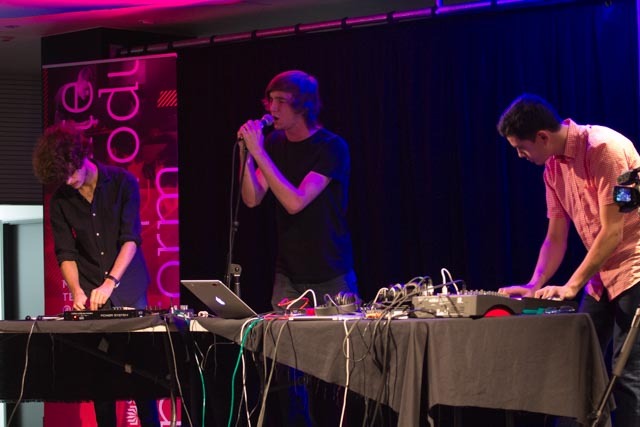 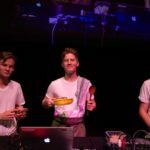 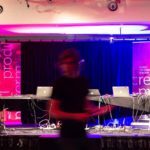 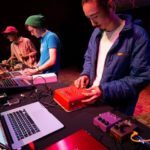 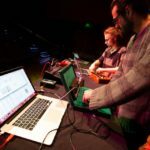 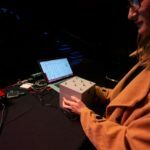 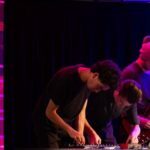 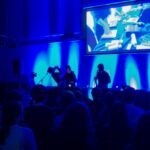 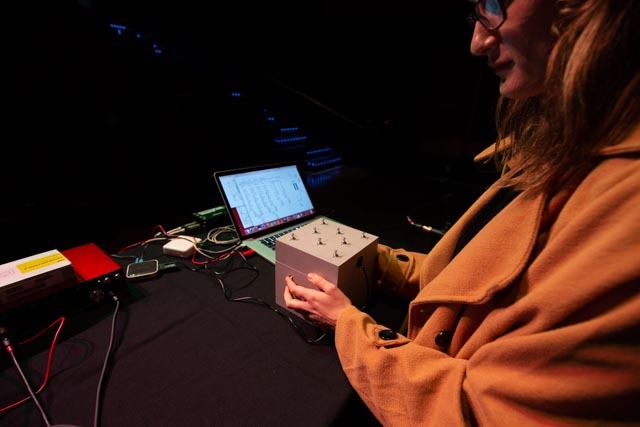 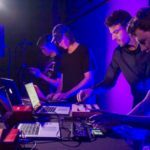 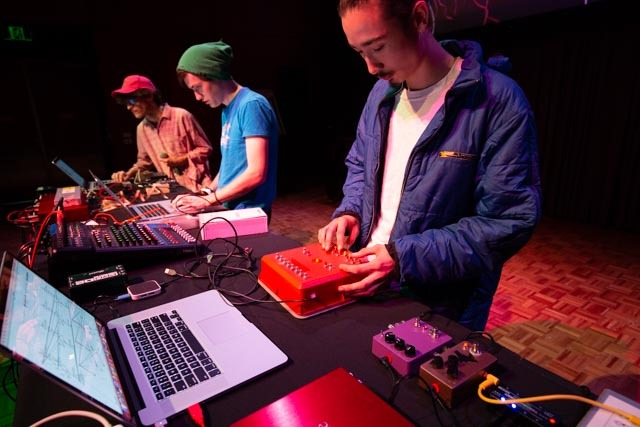 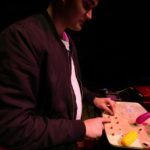 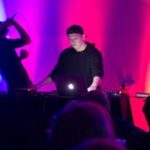 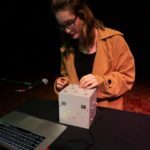 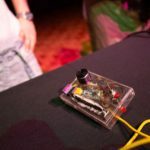 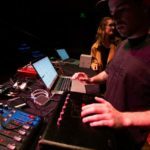 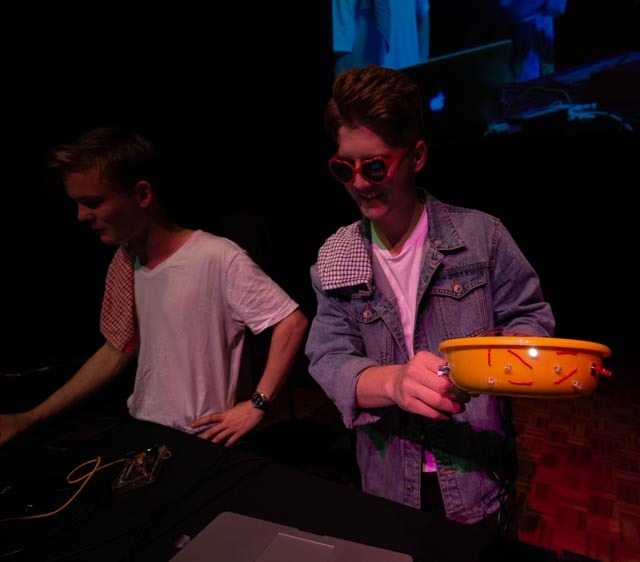 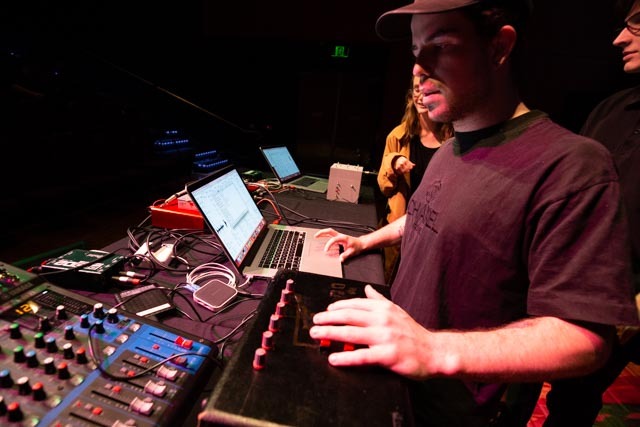 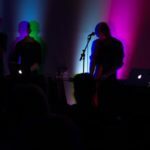 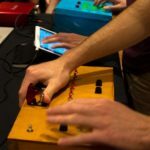 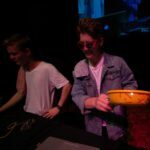 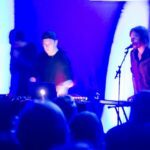 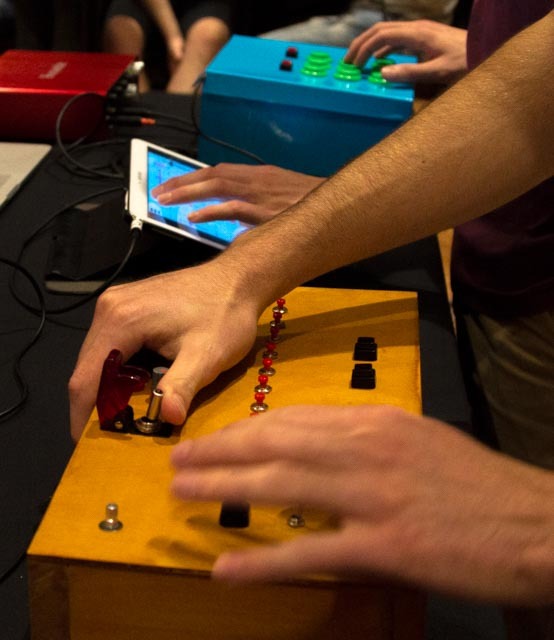 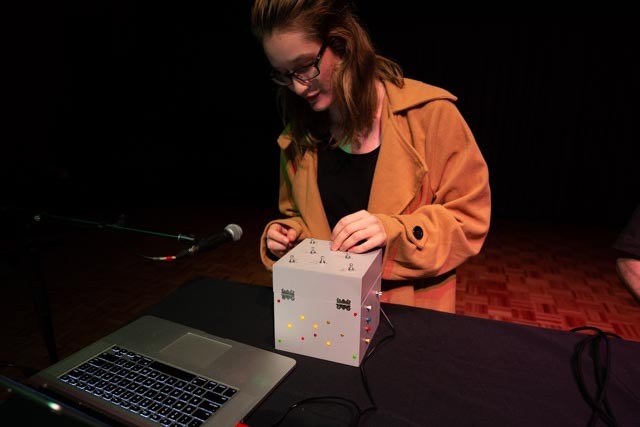 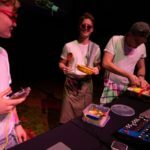 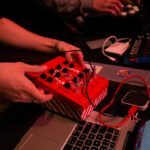 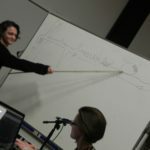 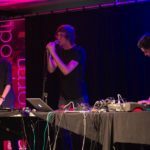 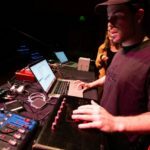 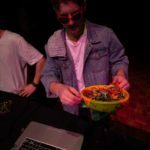 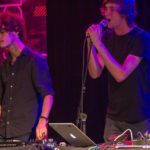 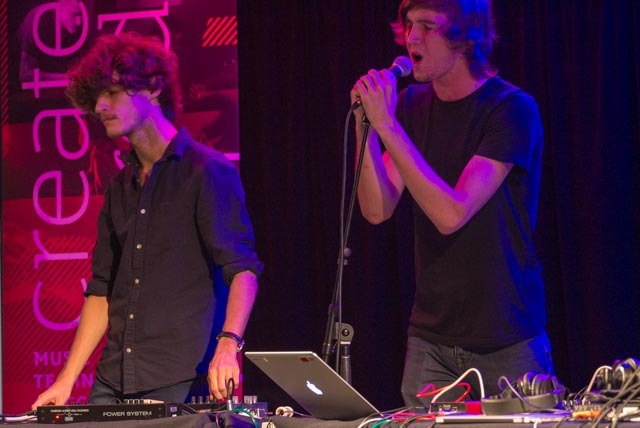 On Saturday 25th March 2017 Music Technology filled Queensland Conservatorium Griffith University with interactive sound installations and hands-on sonic experiments as part of World Science Festival Brisbane. Sonic Playground was supported by Professor Martin Betts (Griffith Engagement) and presented in collaboration with Vanessa Tomlinson and Leah Barclay as part of 100waystolisten.com, a curatorial project at the Queensland Conservatorium Research Centre supported by Griffith University. 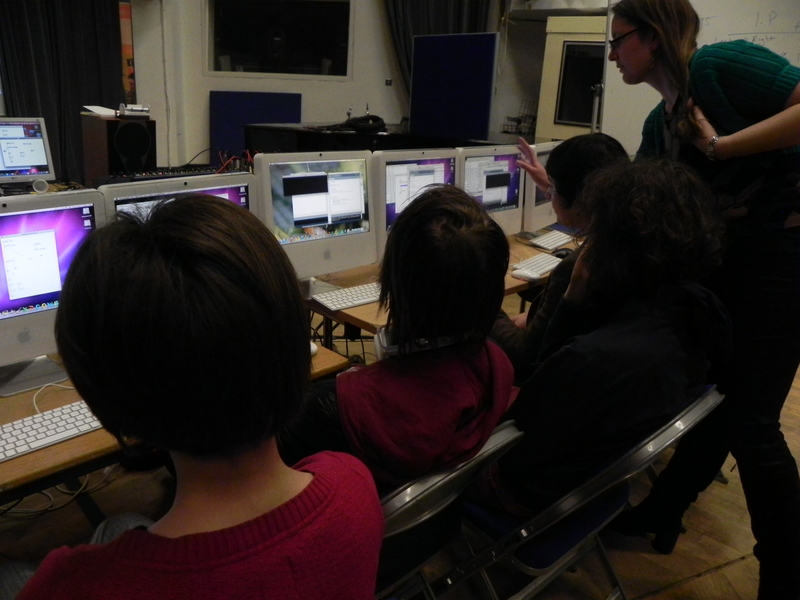 60 Students from 1710QCM Interactive Music and 2710QCM Electronic Instruments were at the foreground. 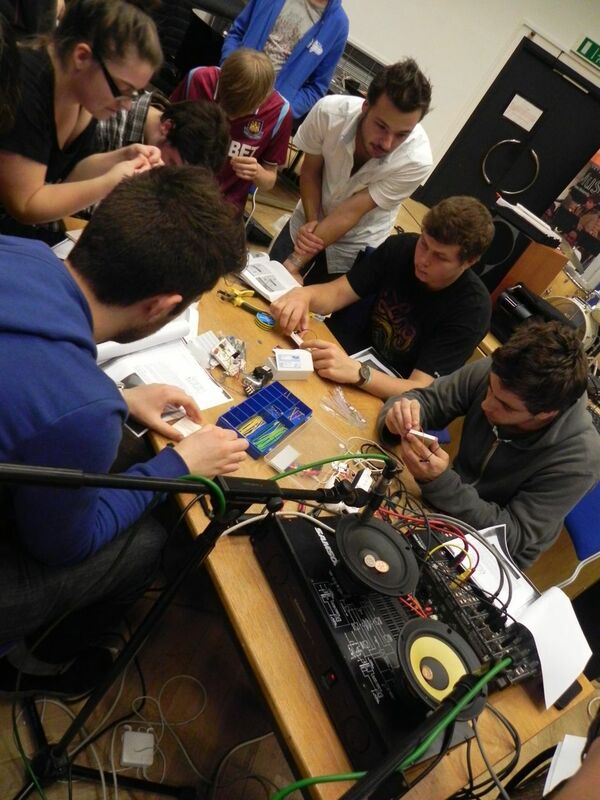 In my first year at QCGU I taught a range of undergraduate courses: 1710QCM Interactive Music taught first year students to compose and perform with Ableton Live software and various commercial controllers; 2710QCM Electronic Instruments introduced second year students to Pure data/Arduino and the joys of drilling holes in boxes; 2720QCM Web Audio ranged from Gibber, to Ohm Studio, to networked performance; 3720QCM Sonic Art was a final-year multifarious/capstone course, 329QCM Introduction to Music Research focussed on ideas, words, and APA6th. 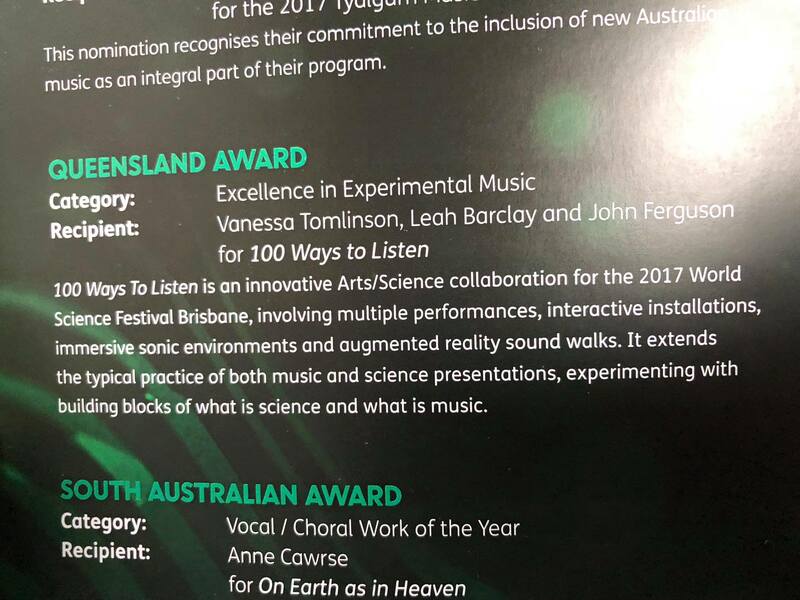 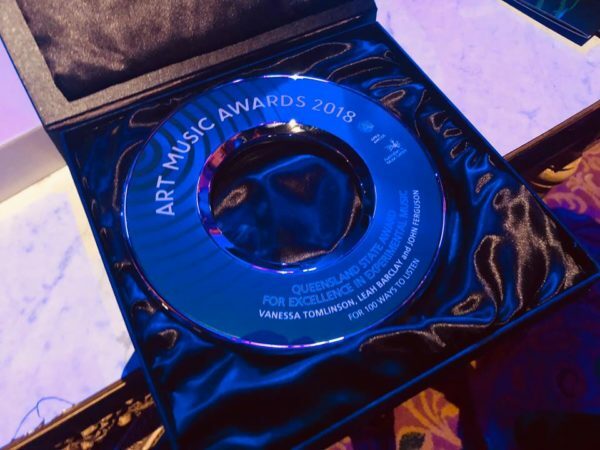 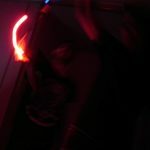 I ran a Handmade Electronic Music Ensemble, which negotiated CMOS chips and breadboards, and taught substantial elements of both 1725QCM Sound Musicianship 1, and 2607QCA the Art of Sound, the later was delivered at Queensland College of Art. 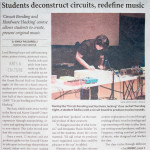 Highlights of student work below. 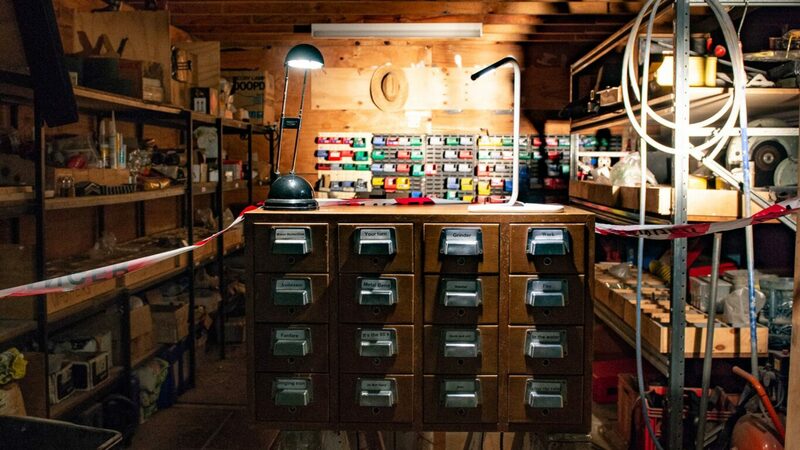 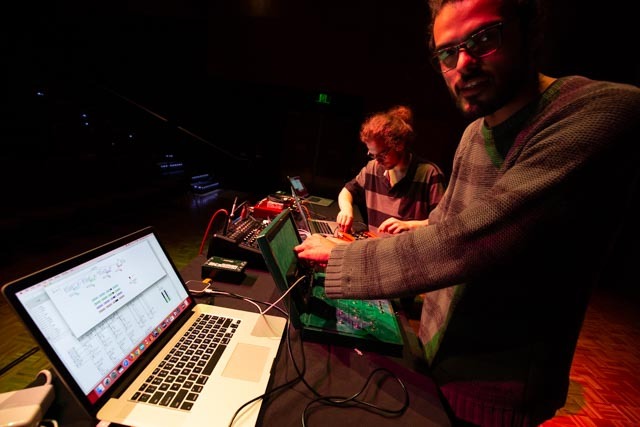 This course configures Attali’s notions of representing, repeating, and composing as theoretical catalysts for the development of contemporary creative practice. The course is structured around seminars, collaborative ensemble work, and individual projects. 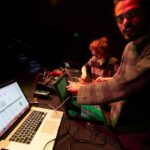 We negotiate Attali’s text in its entirety and realize appropriate responses in a variety of formats, including: performance, installation/intervention, audio/video documentation. 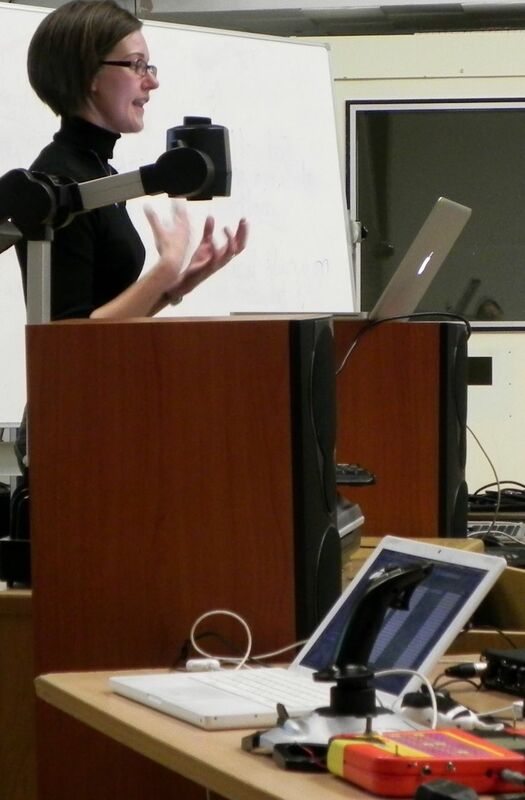 Additional short readings and presentations enrich critical discussion and practical activity. 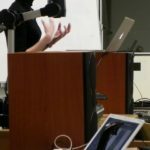 [Download syllabus as .pdf]. 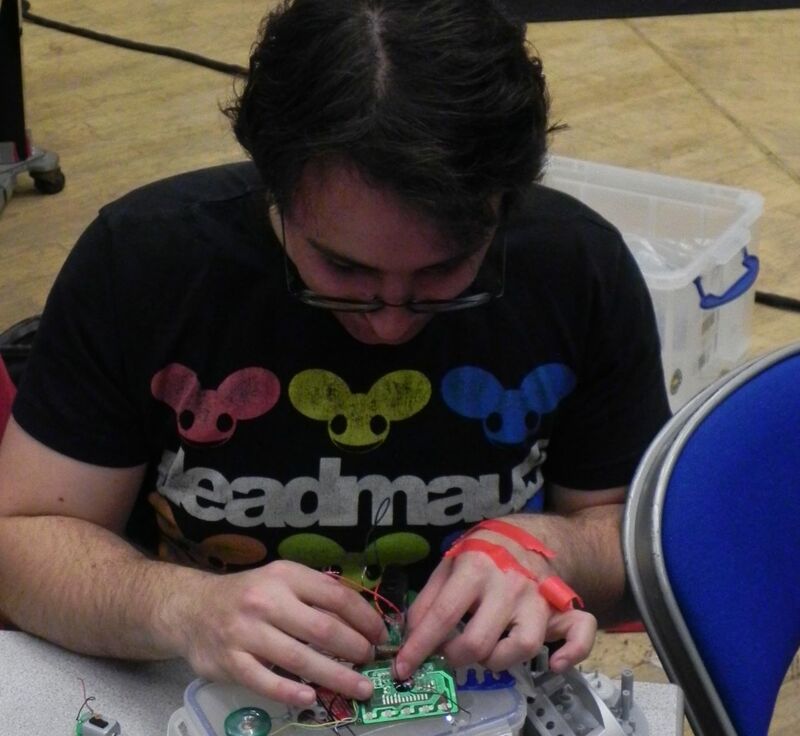 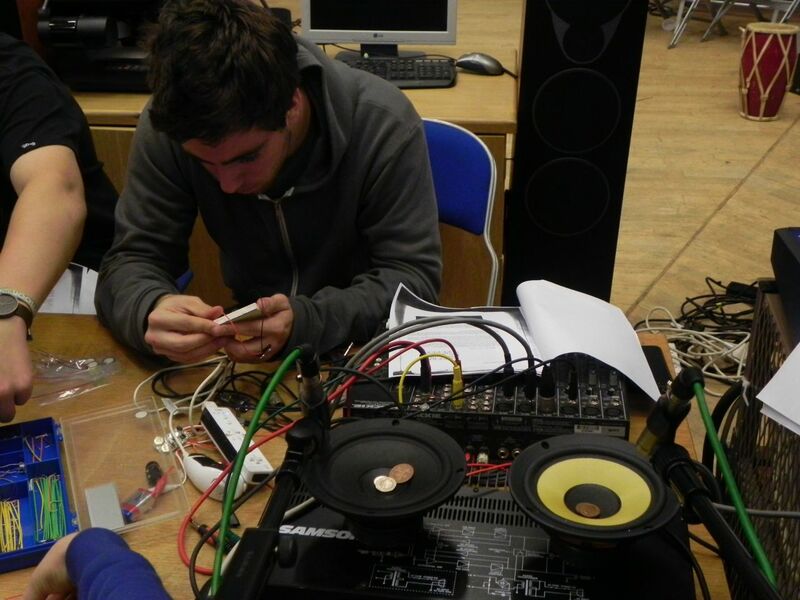 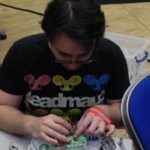 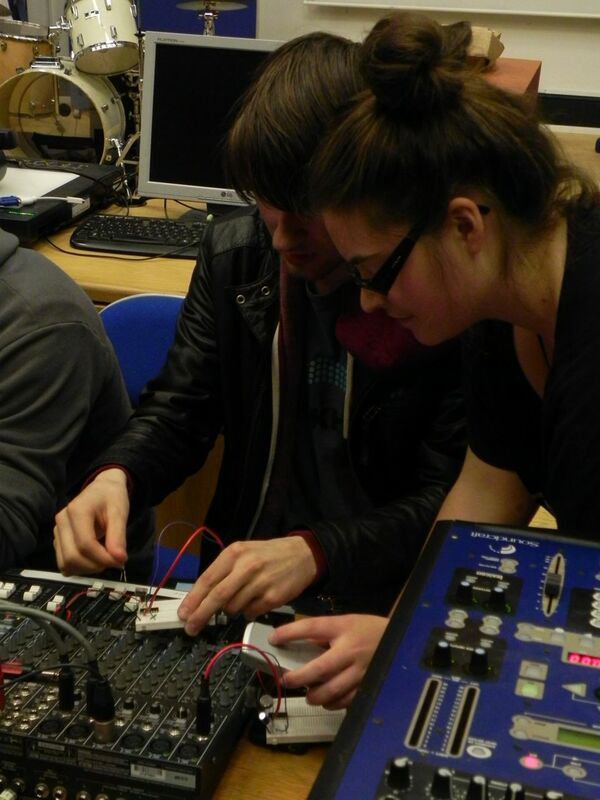 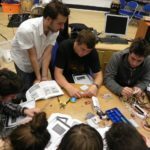 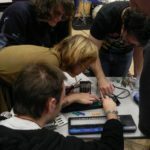 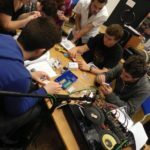 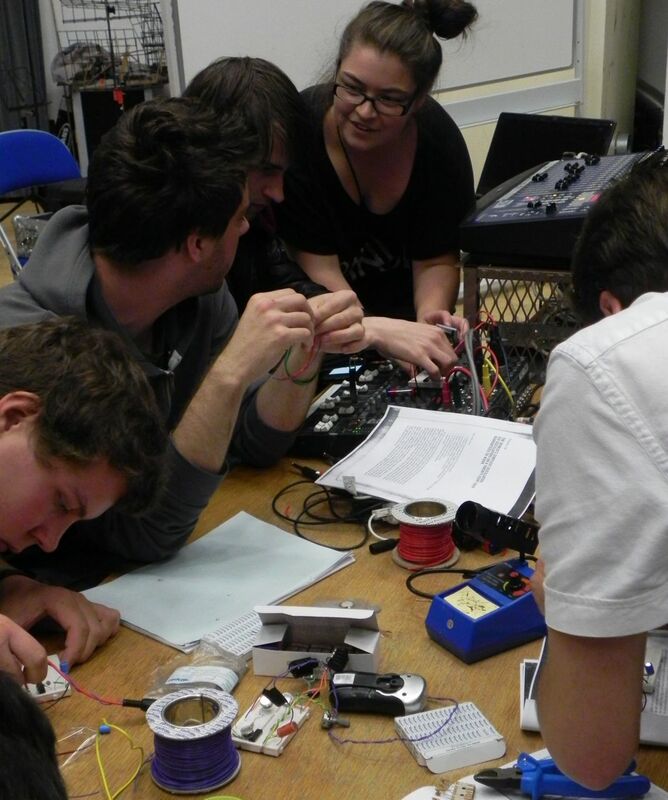 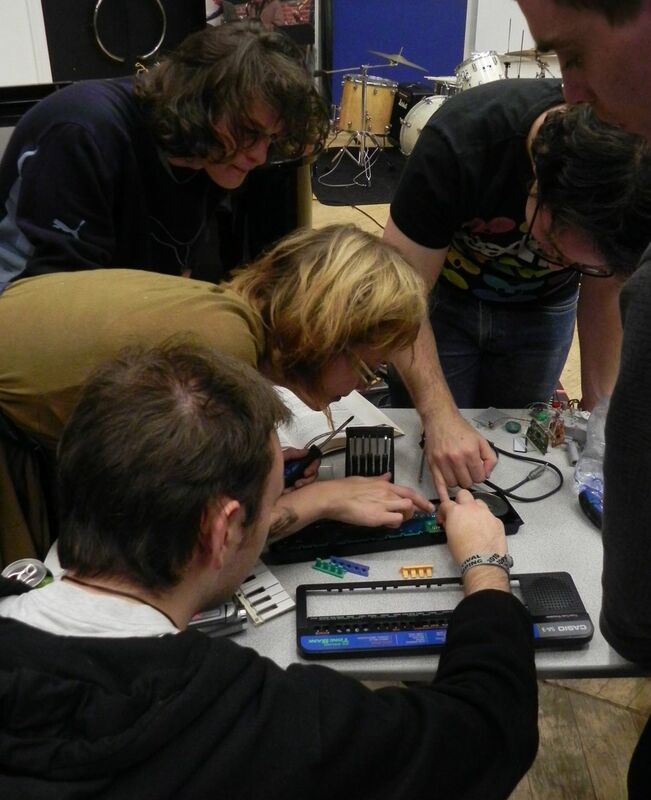 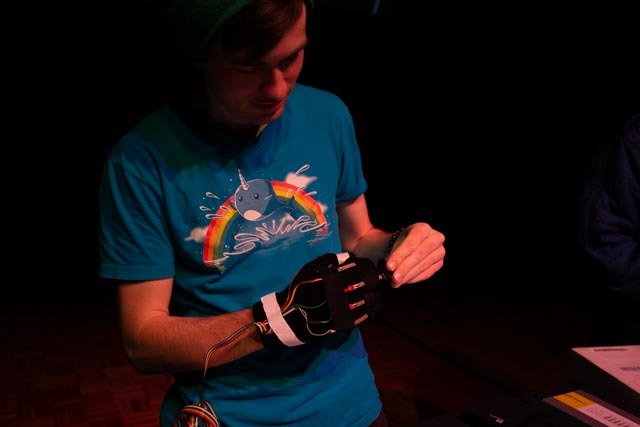 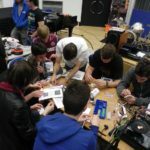 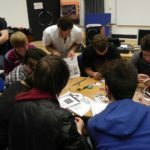 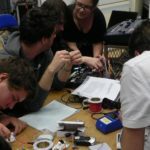 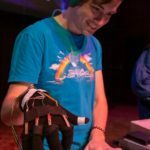 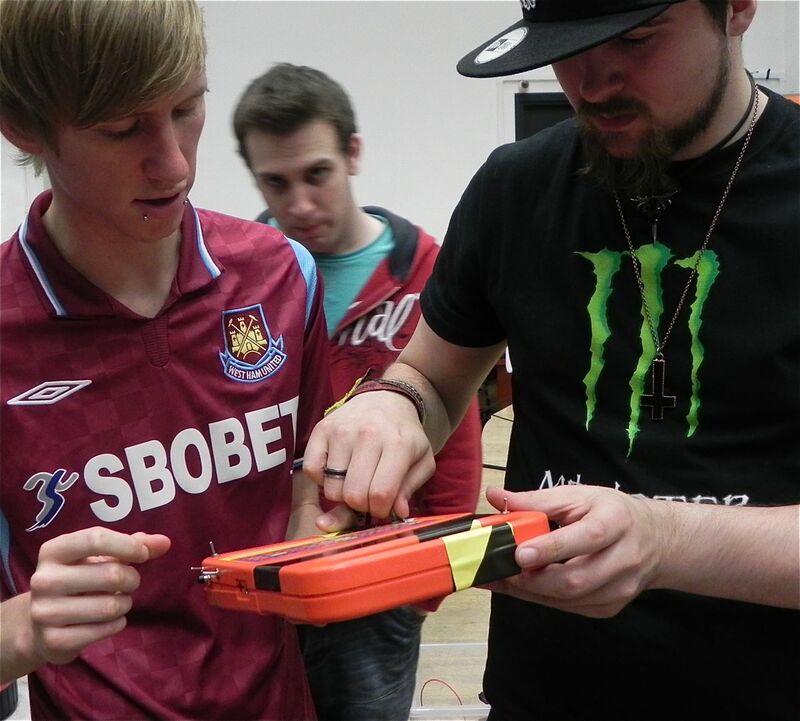 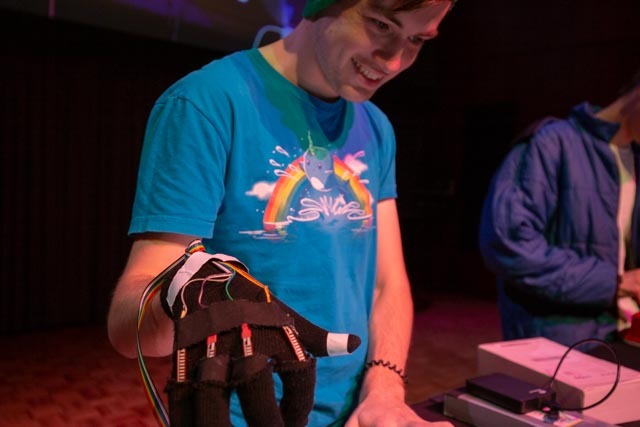 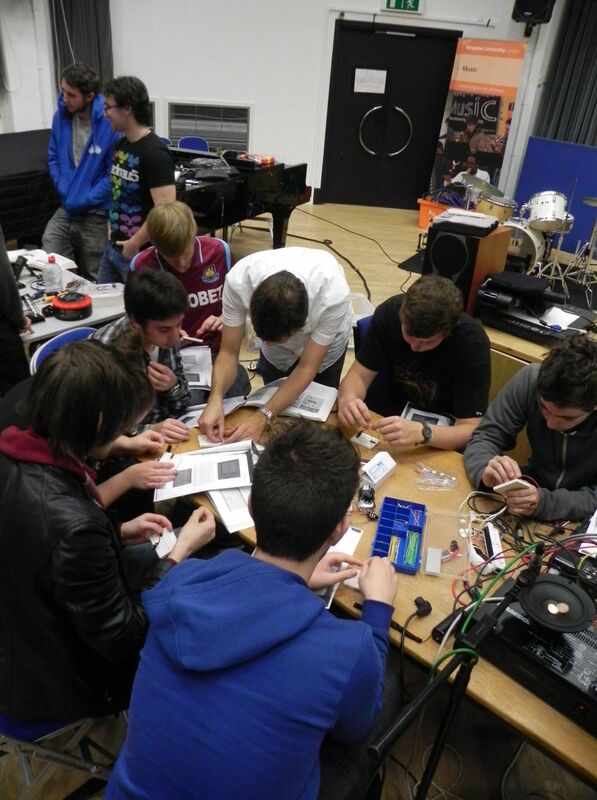 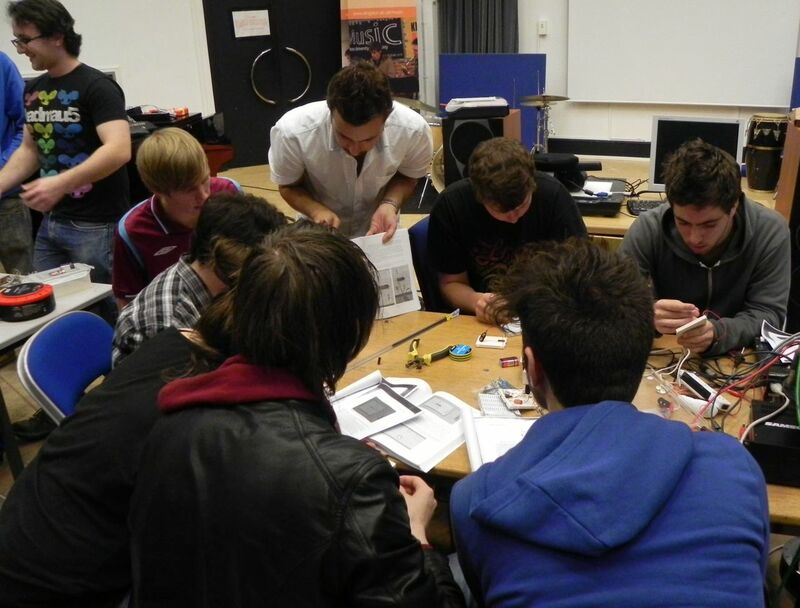 Creative experimentation with hardware electronics and re-appropriated technologies is the main focus of this course. 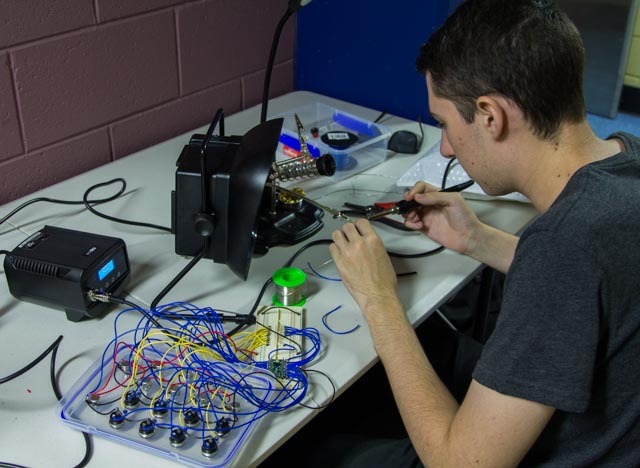 No prior experience of electronics is required. 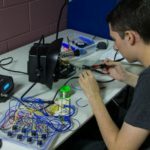 Initially, we will build a range of simple electronic circuits and explore a variety of strategies to animate and interpret pre-existing electronic devices. 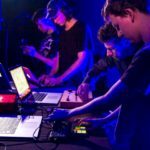 Students will then develop individual instruments and/or performance environments and engage in a number of solo and collaborative projects. 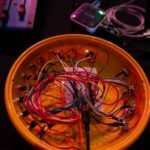 The aesthetics of handmade electronic music and post-digital performance practice will be foregrounded throughout. 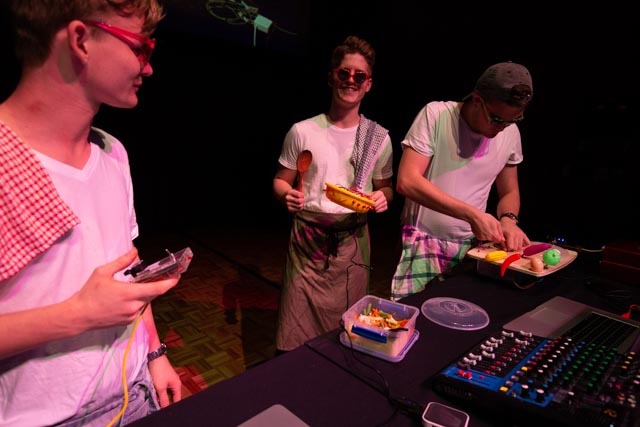 There’s a nice review of the 1240F mid-term concert in the Brown Daily Herald, read it here and see new 1240f and 2230 photos here and here. 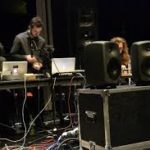 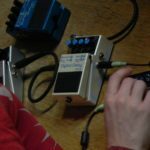 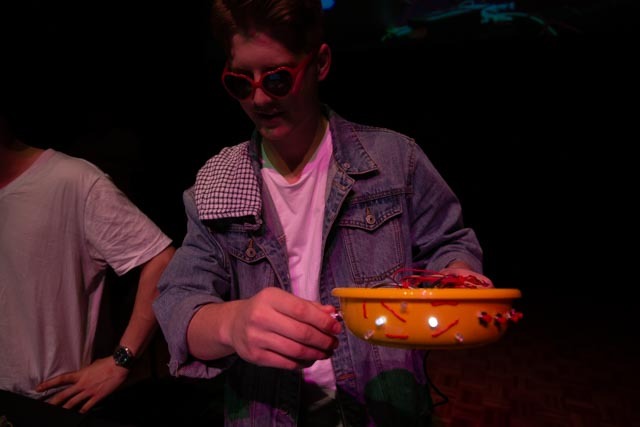 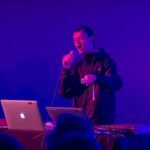 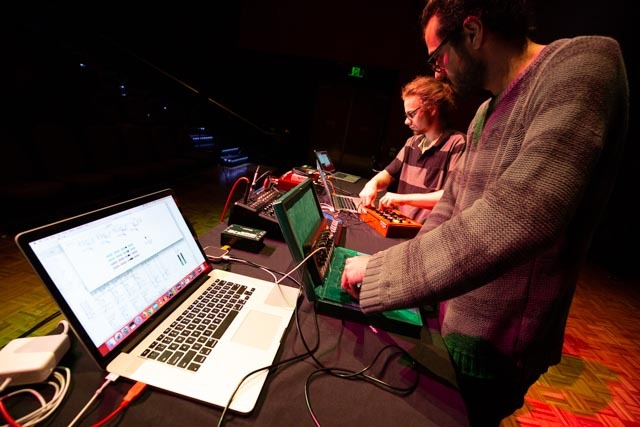 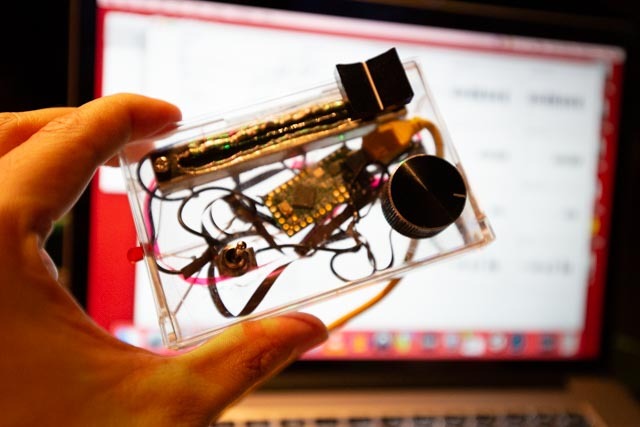 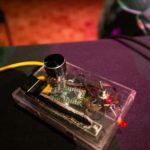 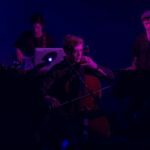 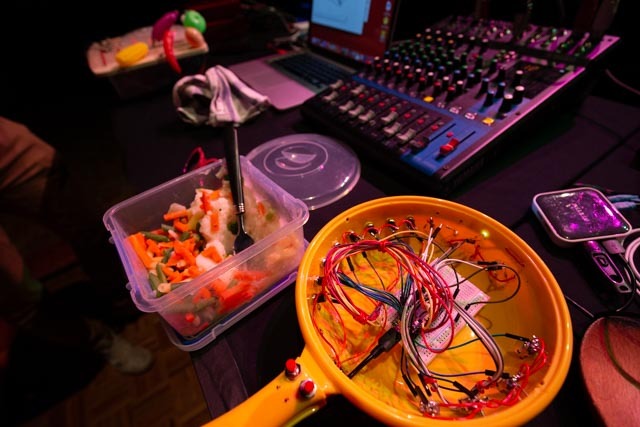 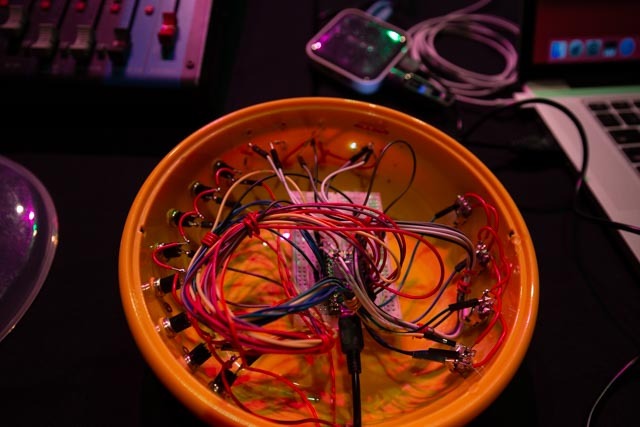 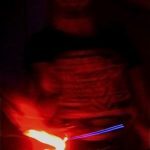 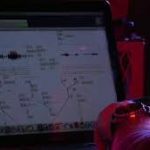 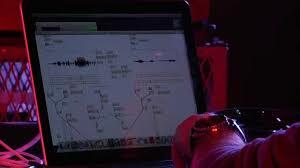 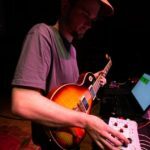 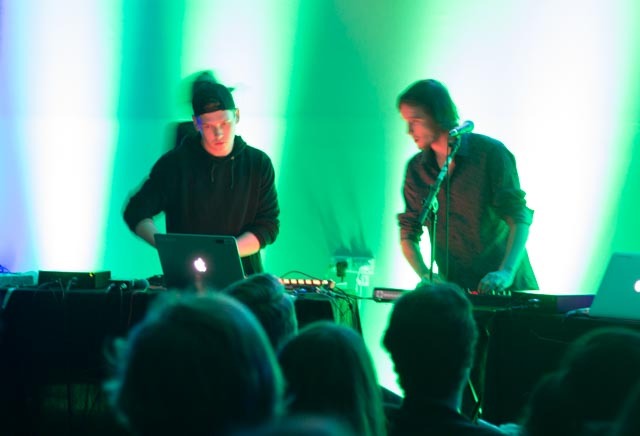 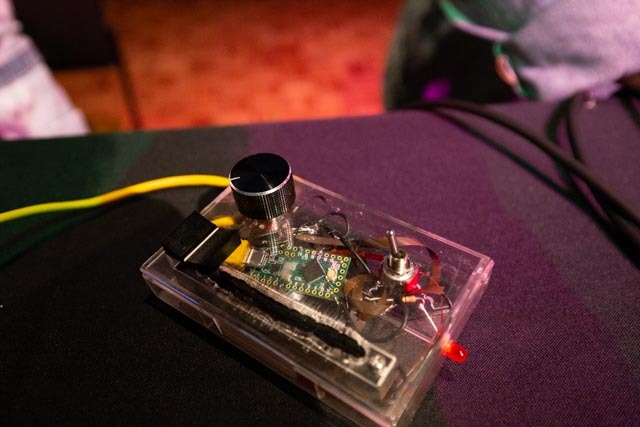 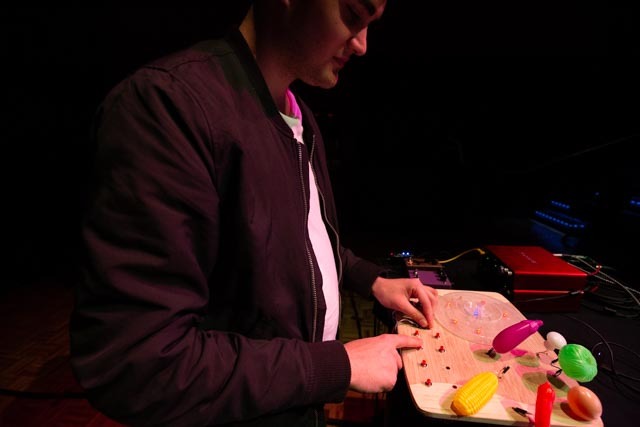 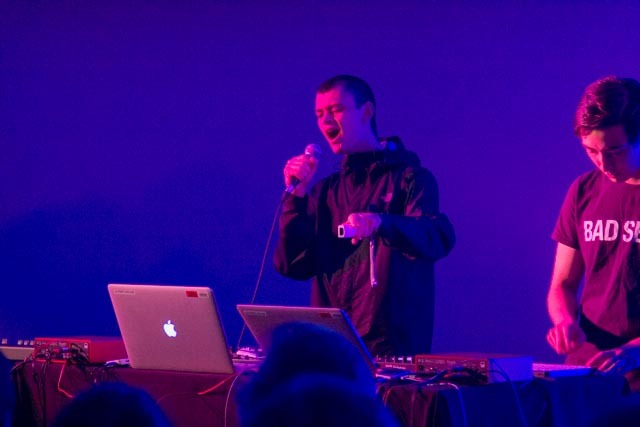 In probing the relationship between humans, interfaces, and sonic materials, this seminar will consider: how useful are established notions of composition and improvisation in a contemporary ‘real-time’ age? 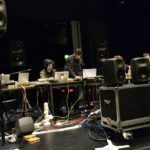 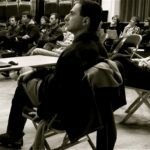 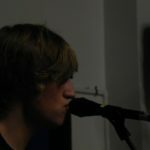 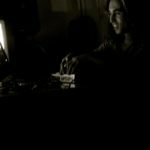 The overall aim is to develop conceptual discussion and practical experimentation, which will culminate in (at least) two concerts and a variety of web-based outputs, as well as a short piece of reflective writing. 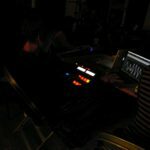 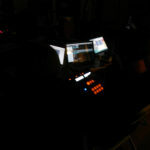 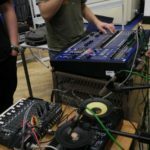 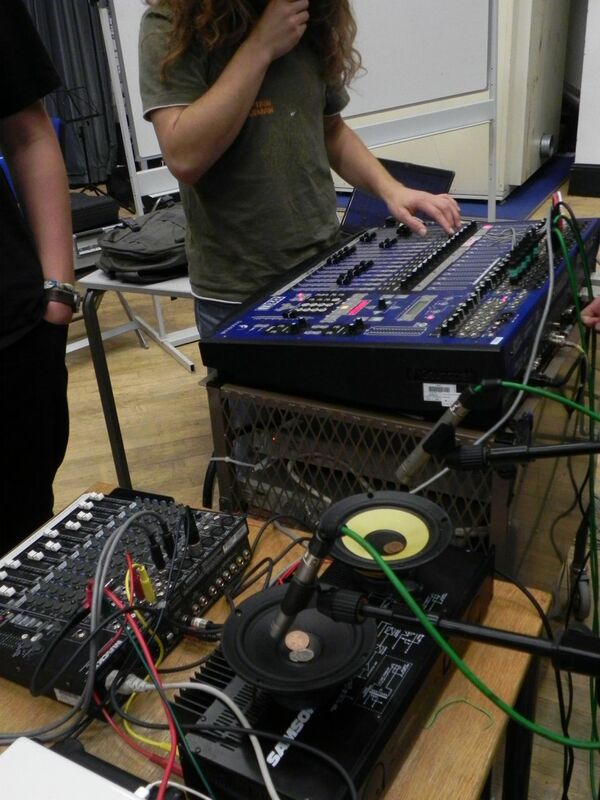 It is possible to navigate this course using a variety of software/hardware systems (Ableton Live, Max, PD, turntables, home-brew electronics, etc); a diverse approach to a variety of technologies is highly encouraged. 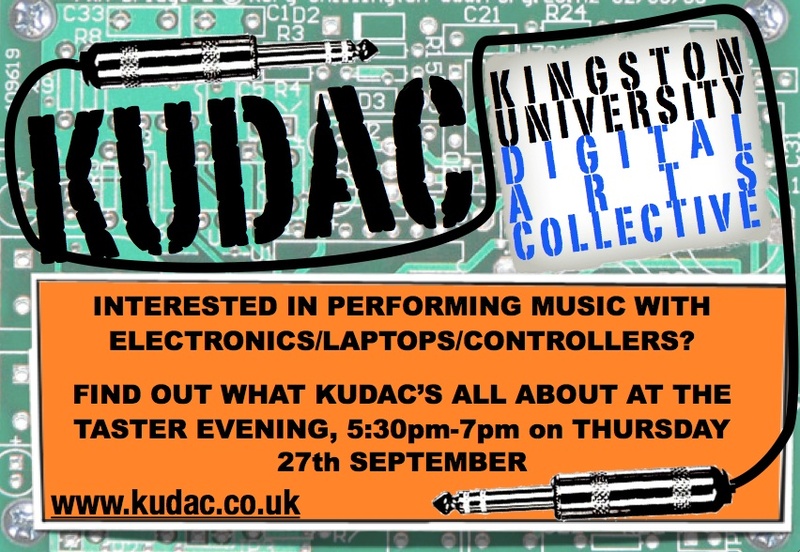 For three years I was a Lecturer in Music and Creative Music Technologies at Kingston University London. 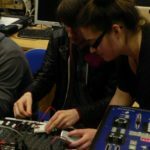 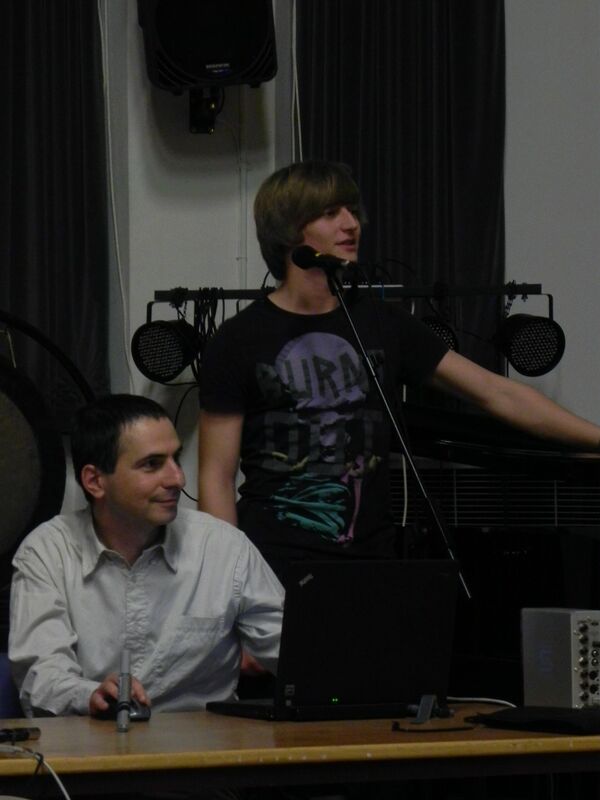 Each year I led four undergraduate modules and contributed substantially to others across Music and Creative Music Technology. 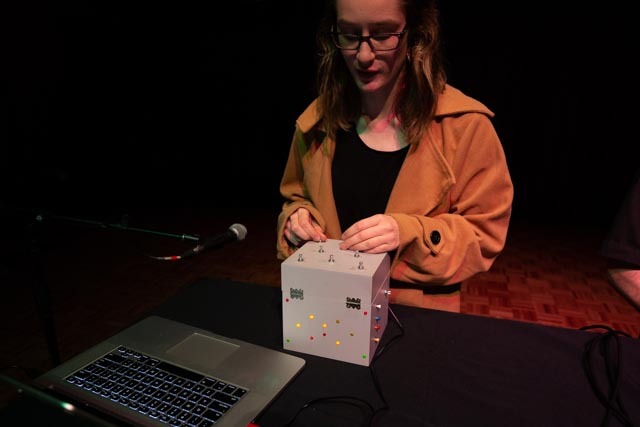 Undergraduate students Hash Riaz, Liam Sharpe, and Selina Welter realised the below project under my supervision for their final-year ‘Special Study’. 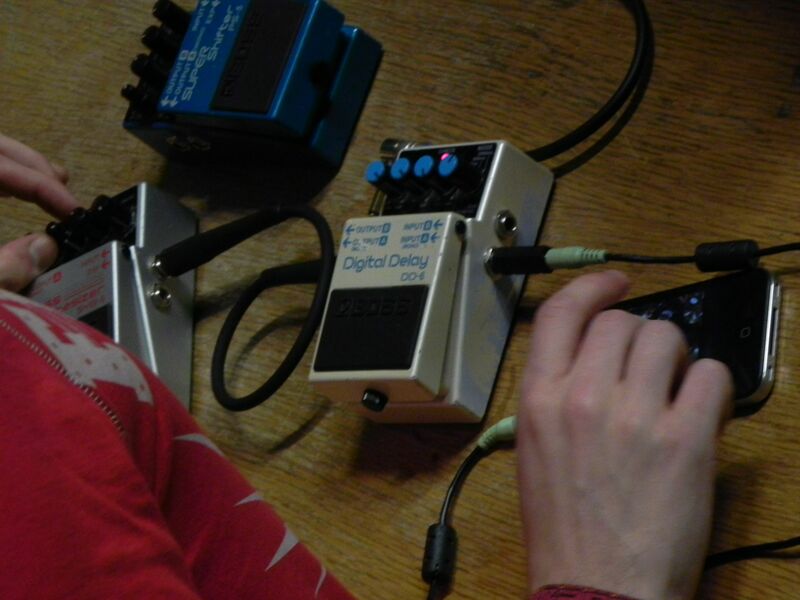 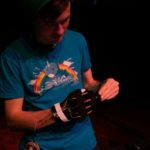 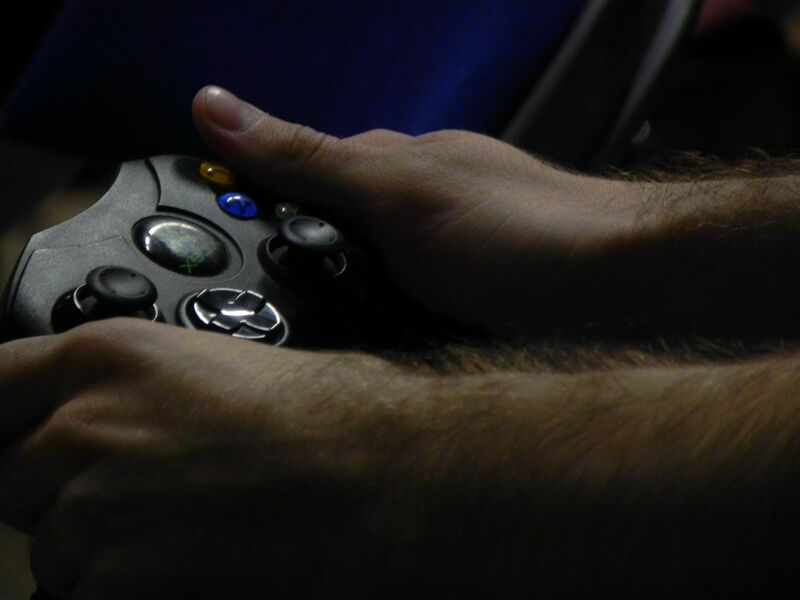 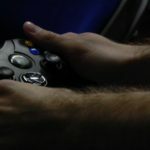 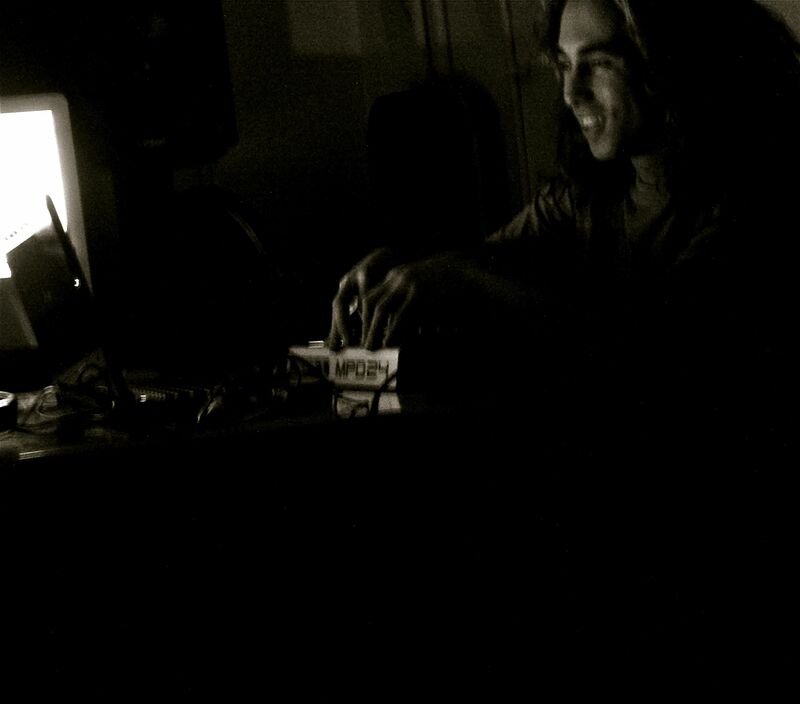 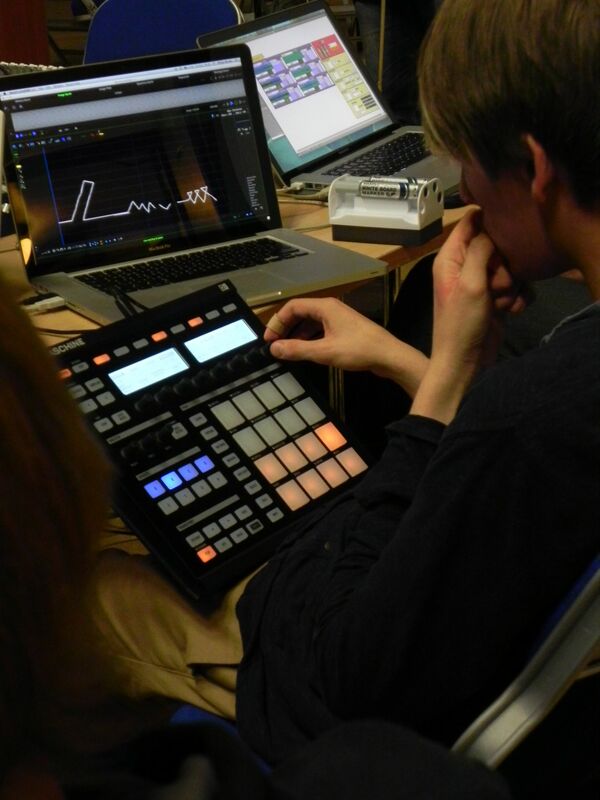 Two Nintendo Wii Remotes were utilised in combination with JunXion & Ableton Live software. These movies were captured during rehearsals for David Osbon’s Bodies in Motion 2012, an international multimedia performance project that was part of Kingston’s 2012 Cultural Olympiad, based on the works of Edward Muybridge. 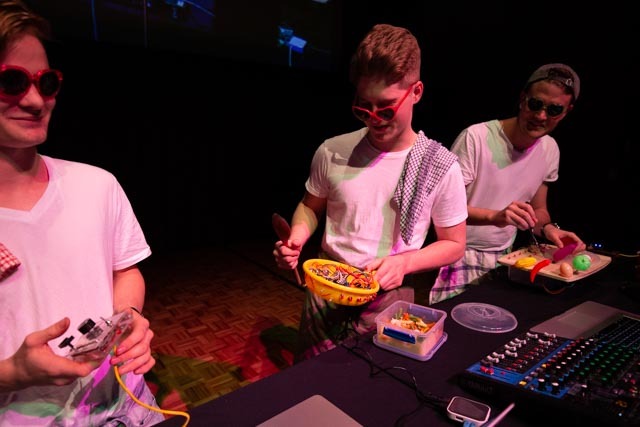 The performance, conducted by Dr.Osbon, combined live streamed performances from Grand Valley State University (GVSU) in Michigan, the Hague and the Rose Theatre in Kingston. 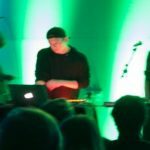 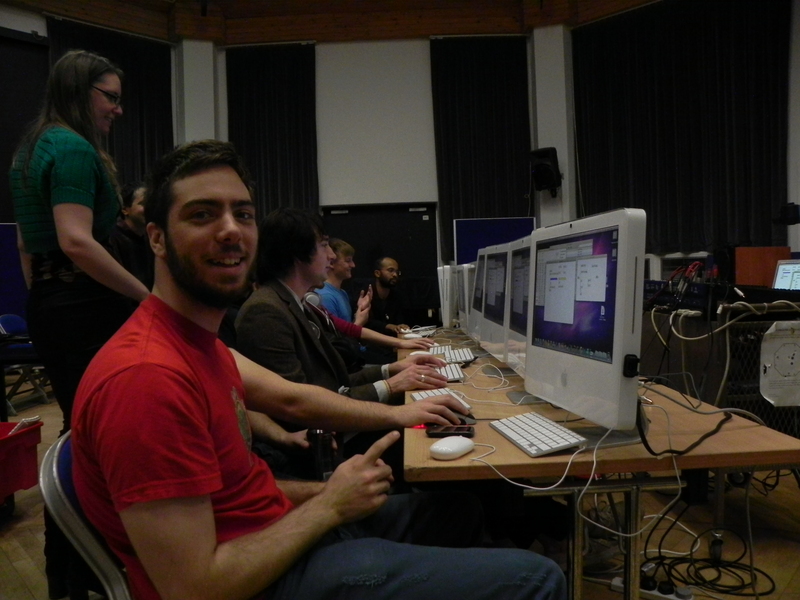 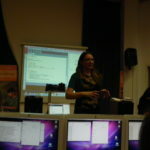 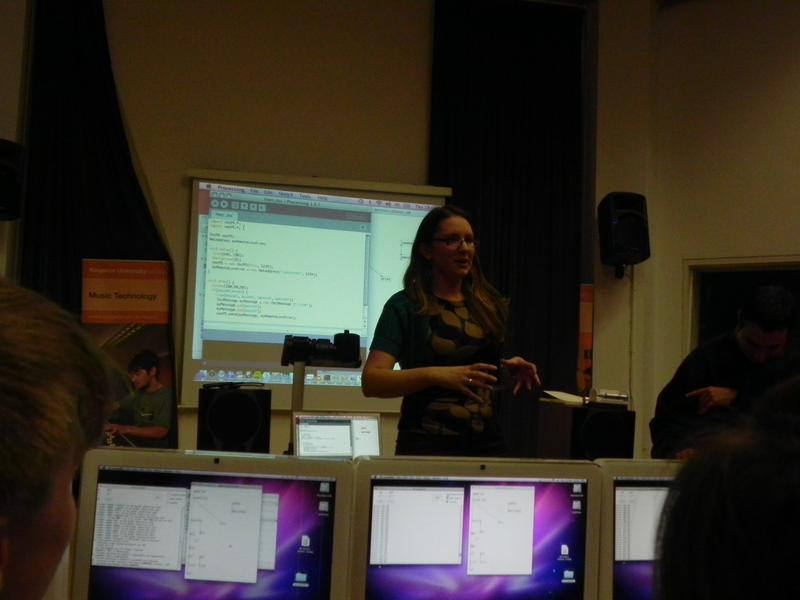 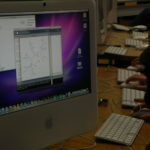 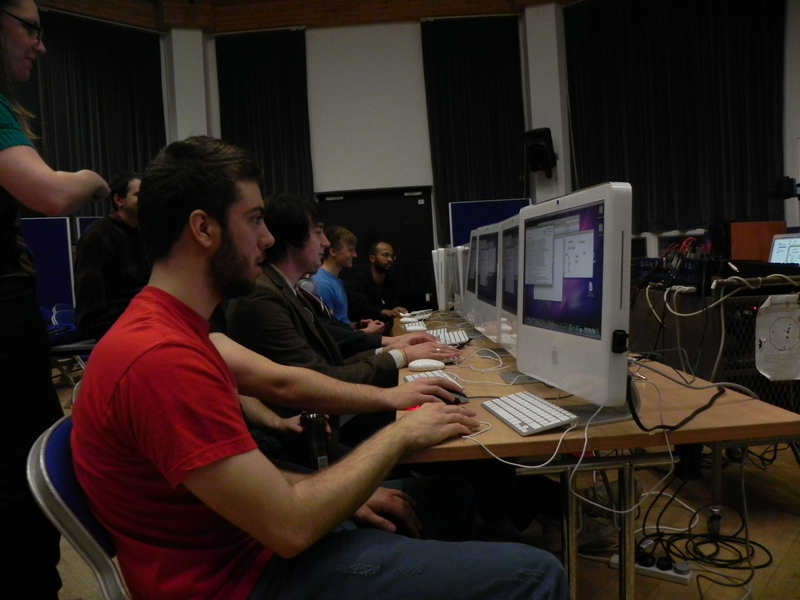 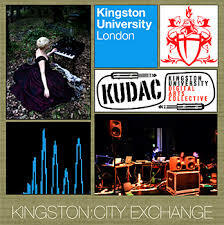 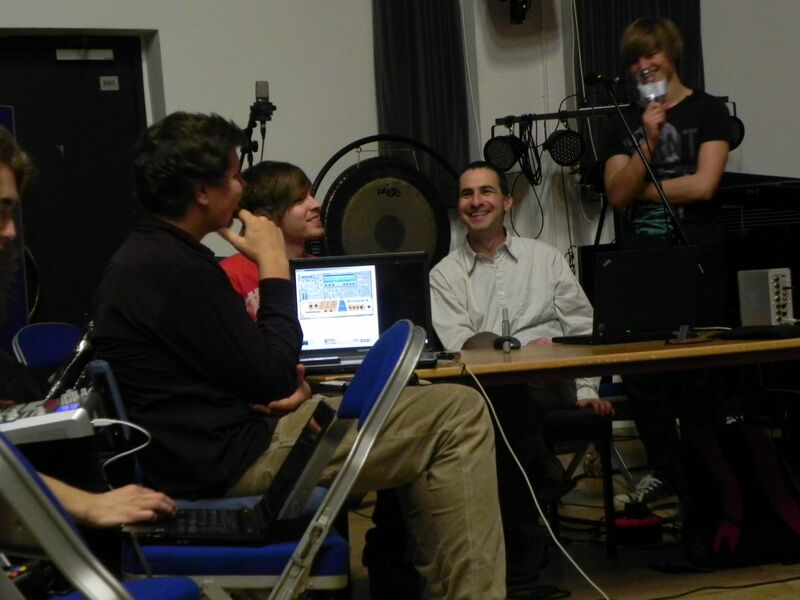 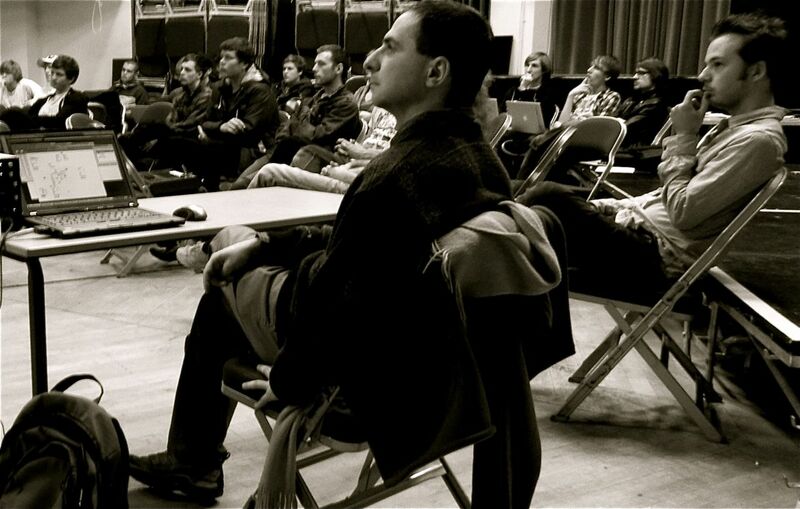 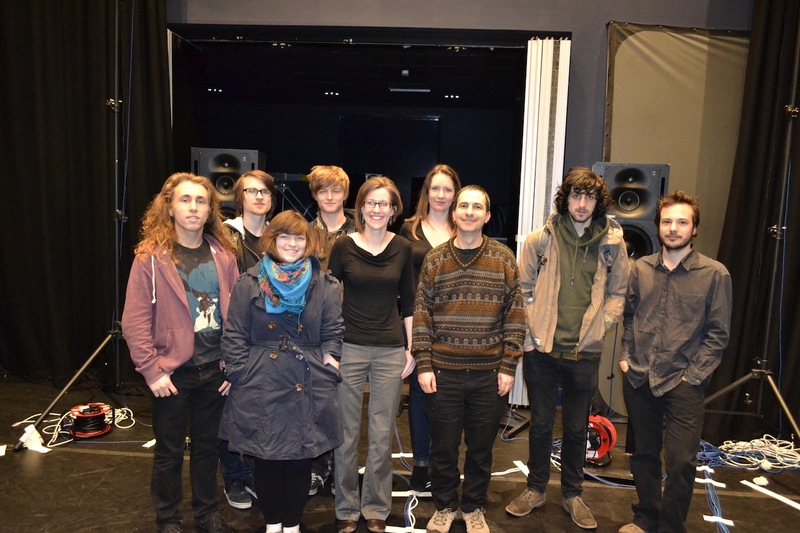 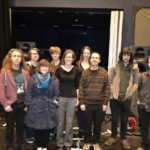 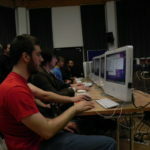 Kingston University Digital Arts Collective (KUDAC) was a staff-led collective based in the Music Department.KUDAC was launched in September 2011 by Diana Salazar, John Ferguson, Louise Harris, and Oded Ben-Tal. 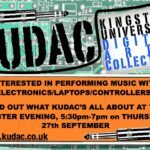 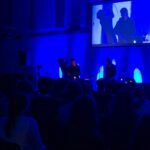 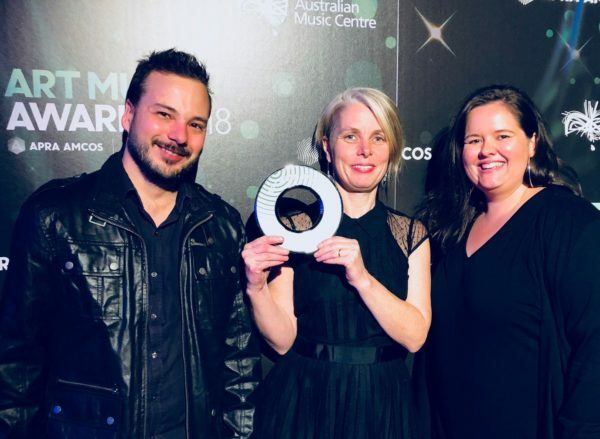 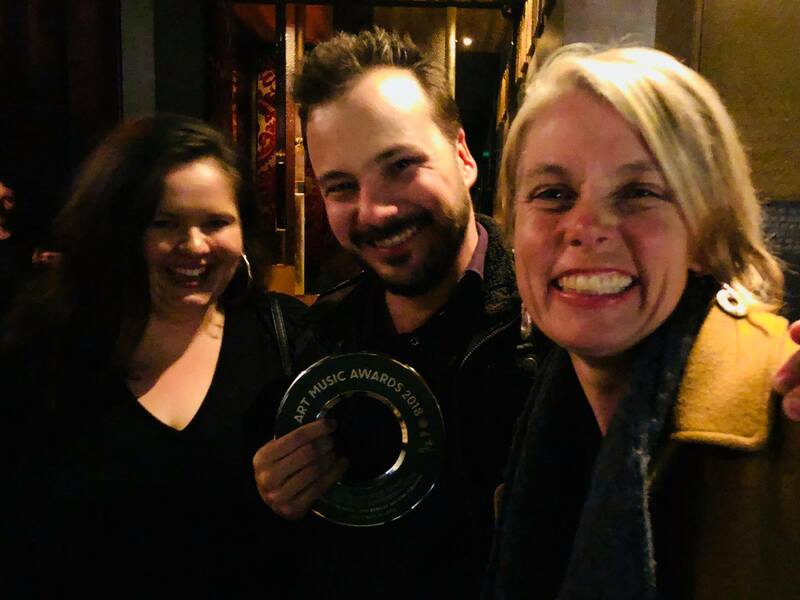 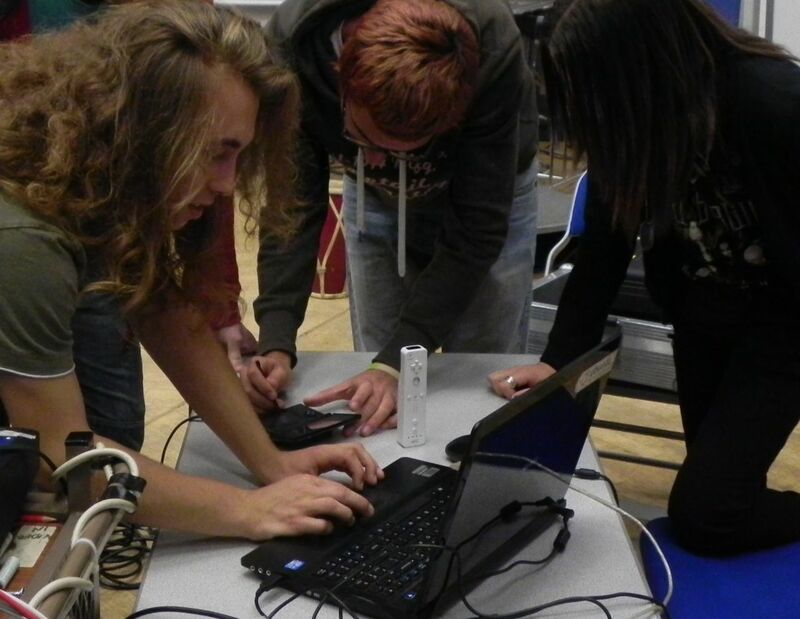 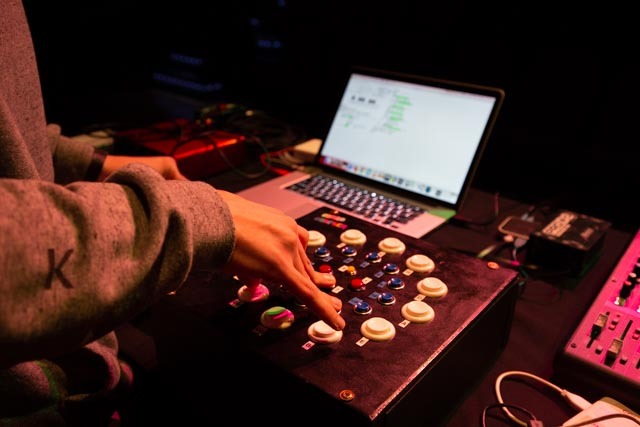 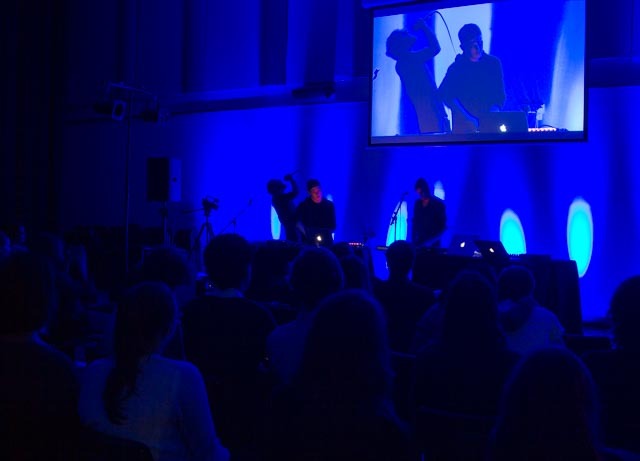 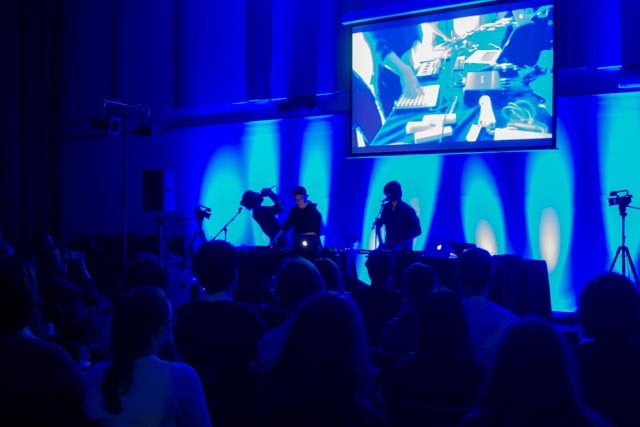 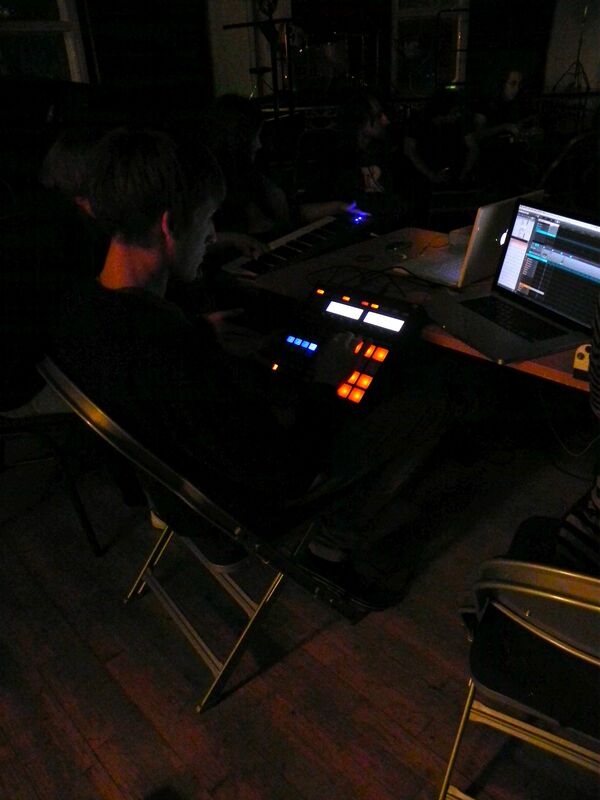 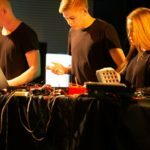 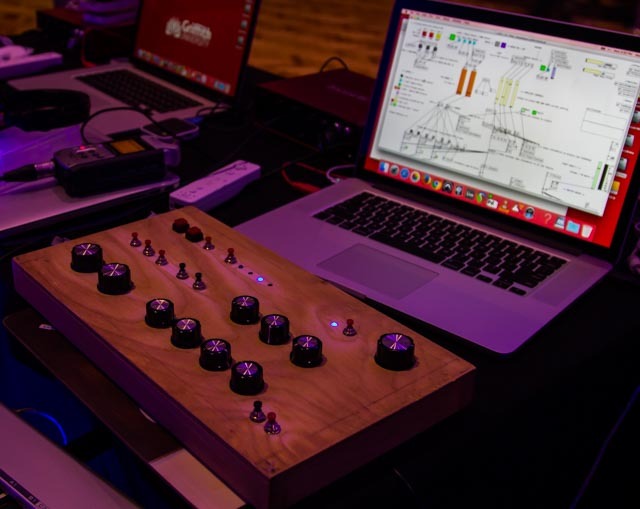 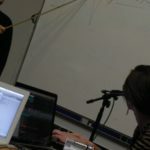 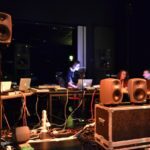 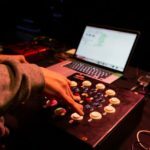 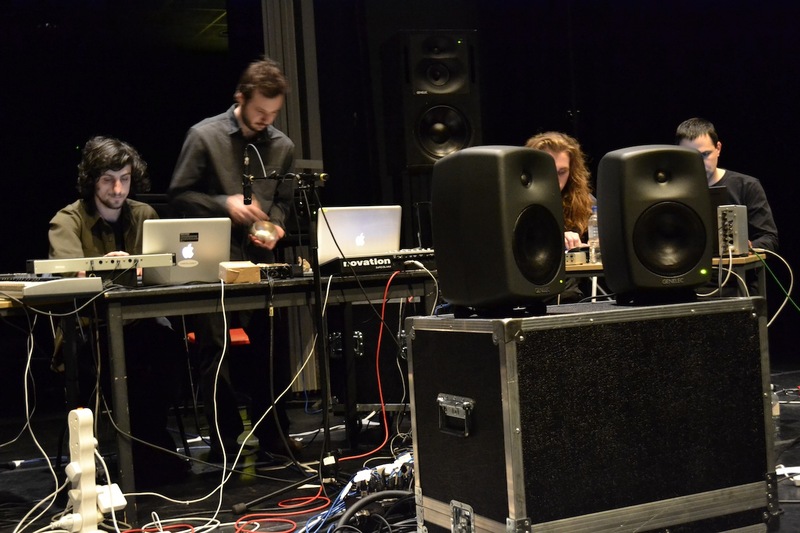 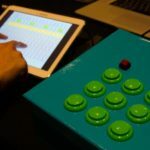 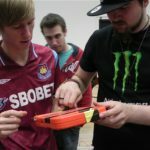 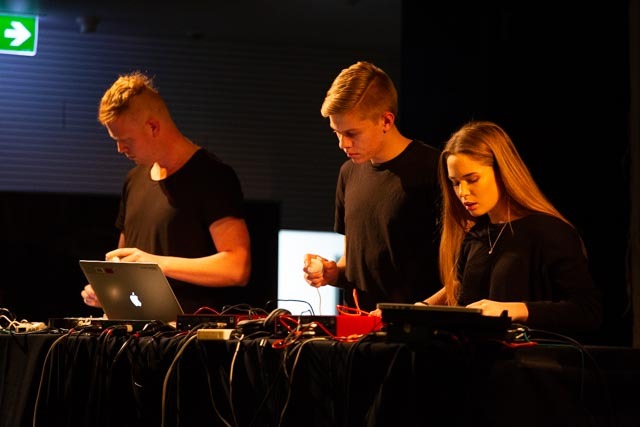 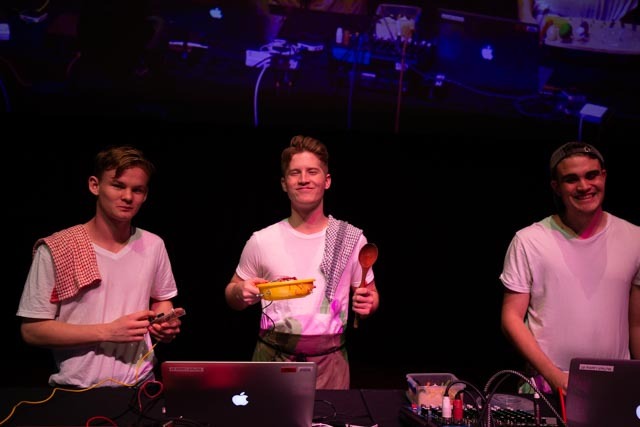 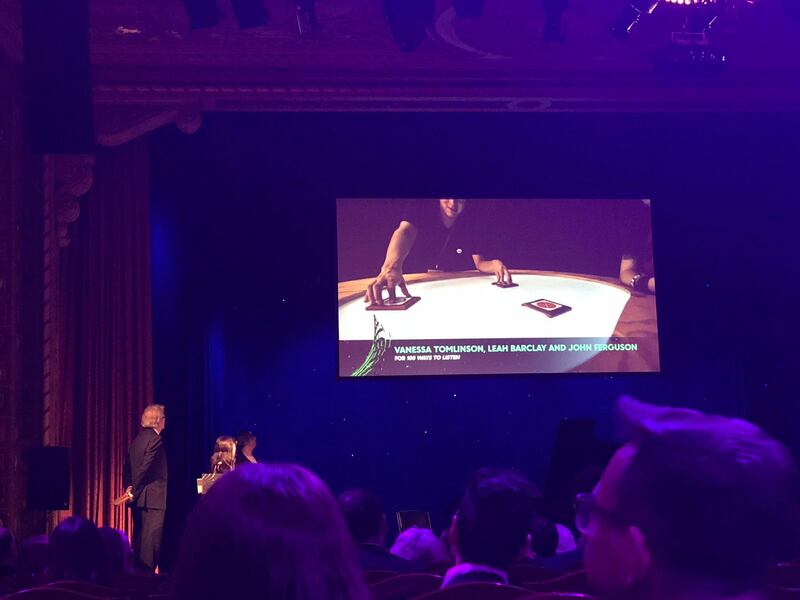 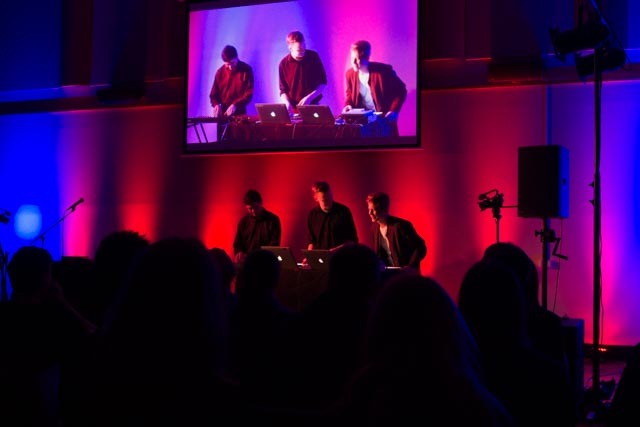 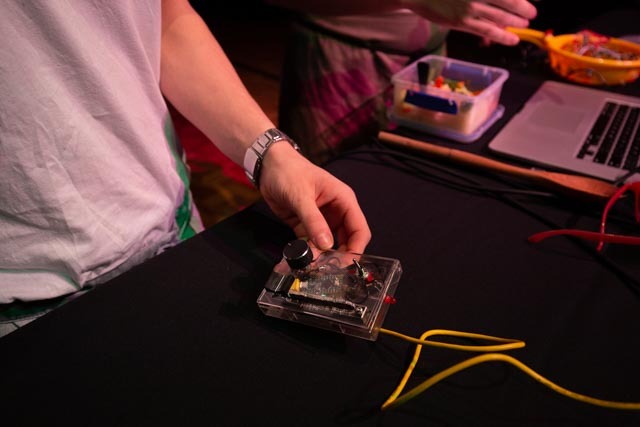 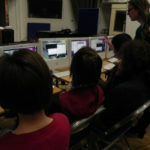 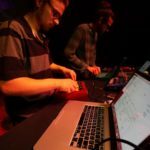 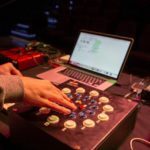 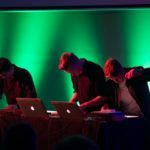 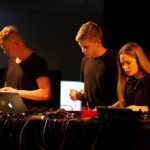 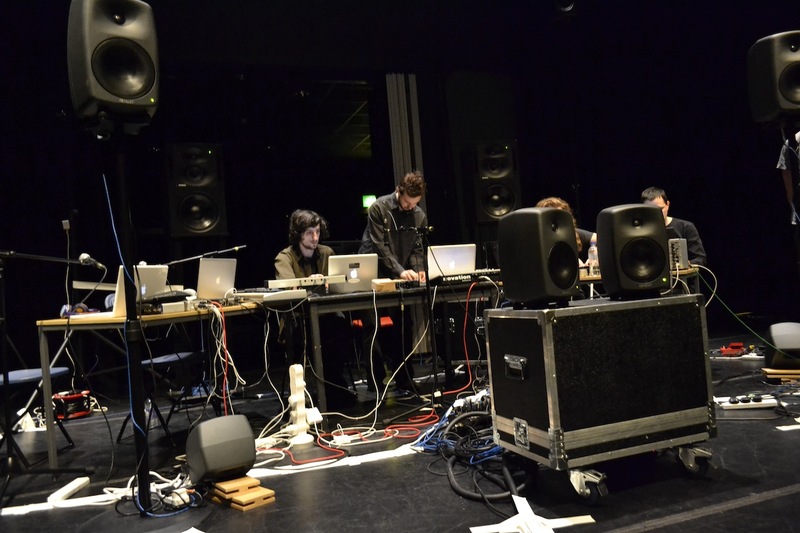 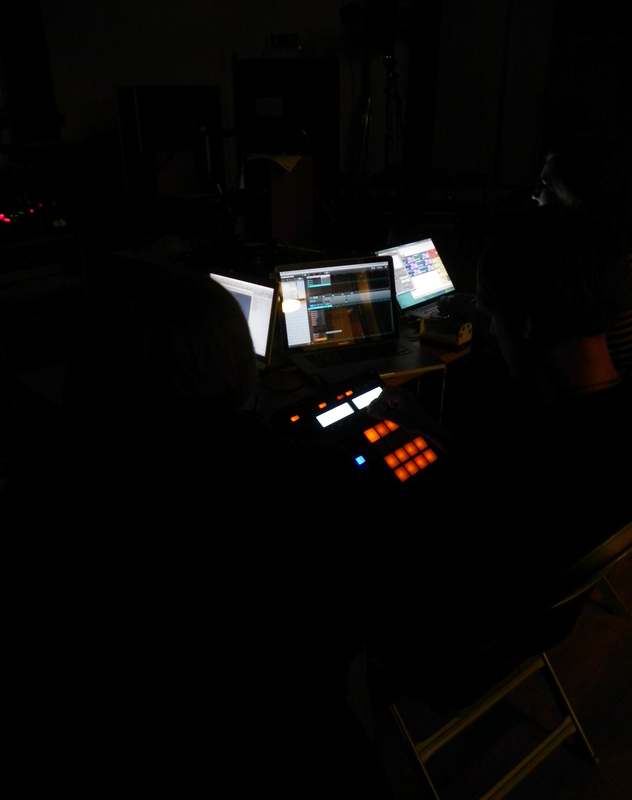 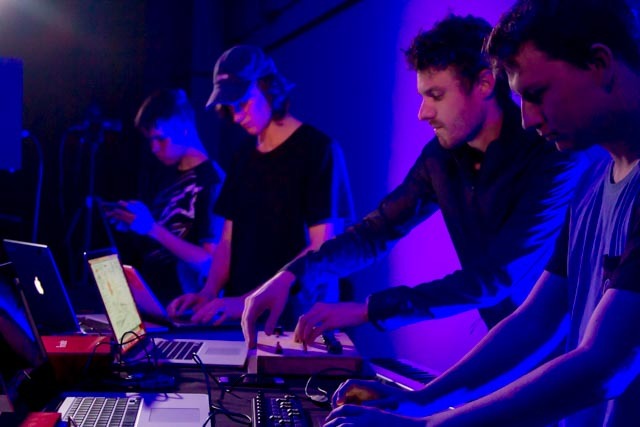 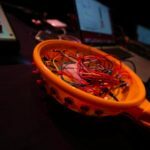 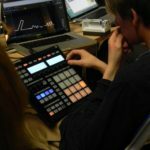 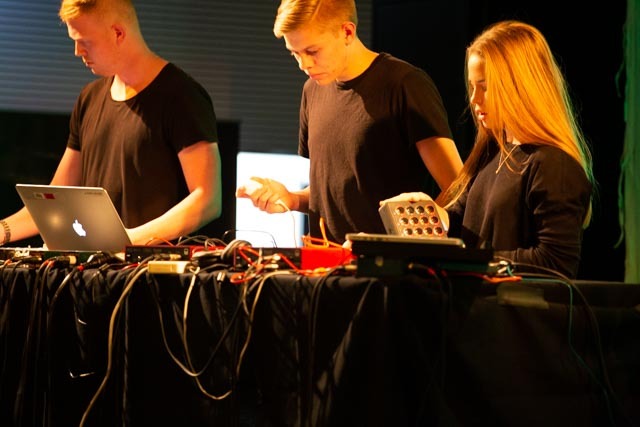 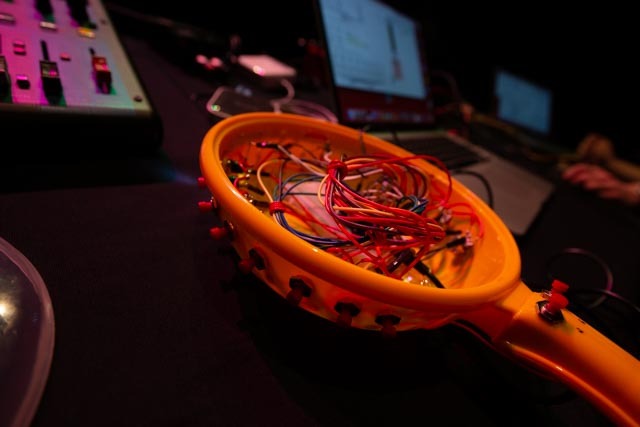 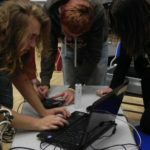 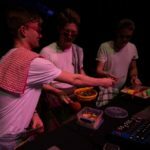 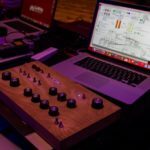 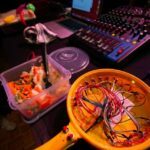 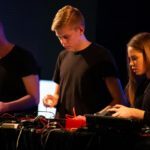 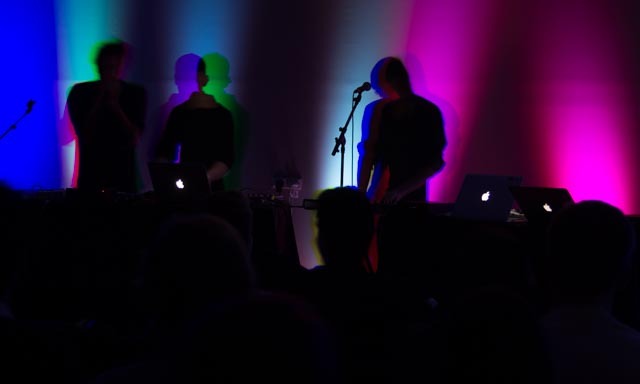 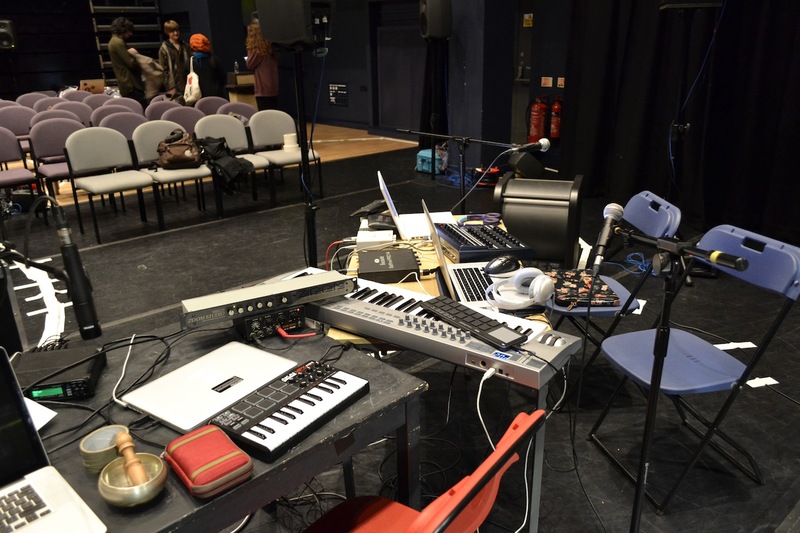 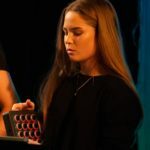 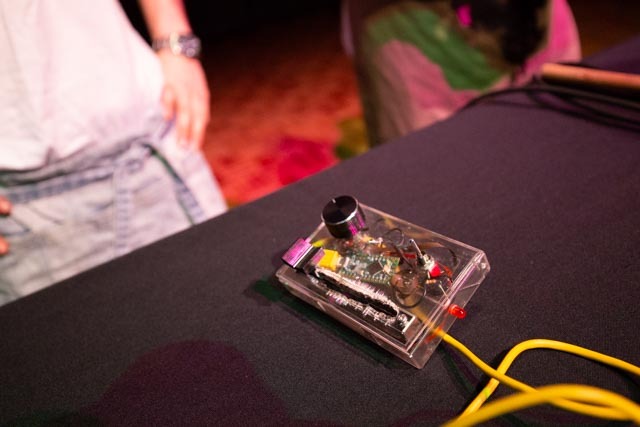 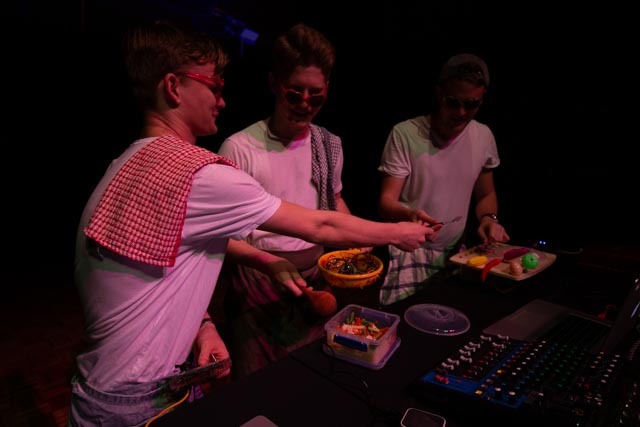 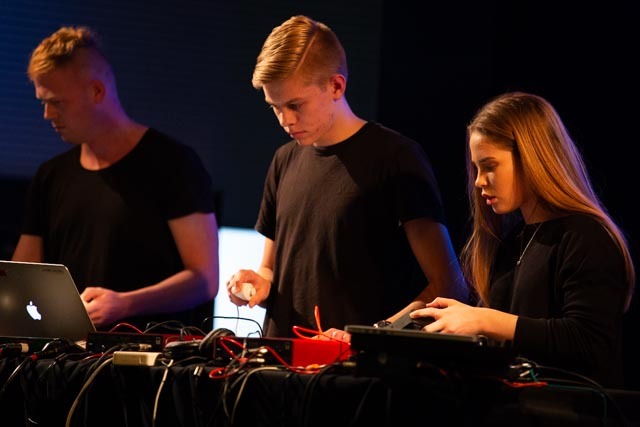 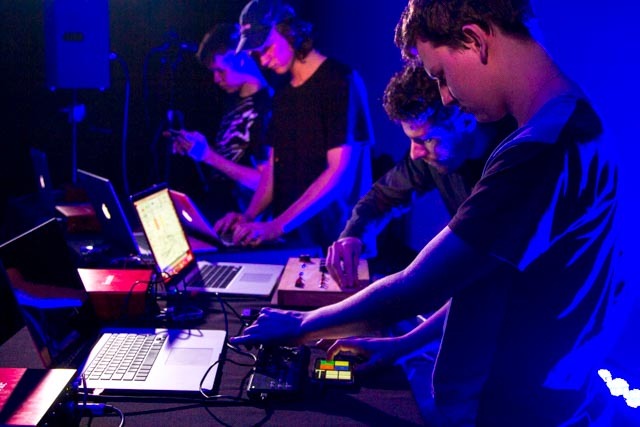 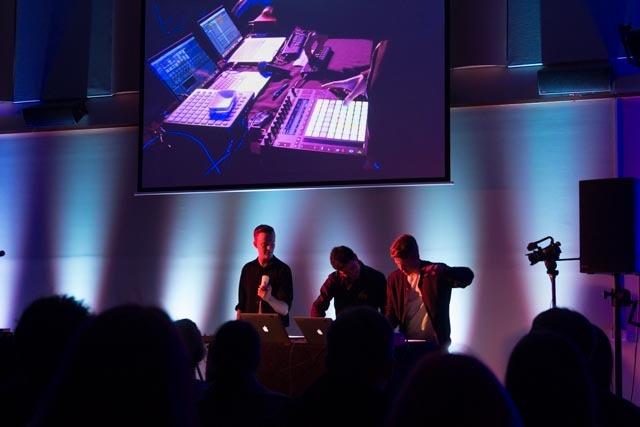 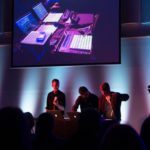 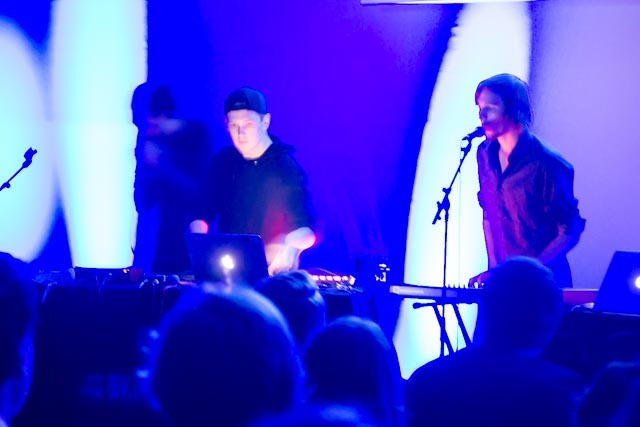 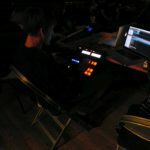 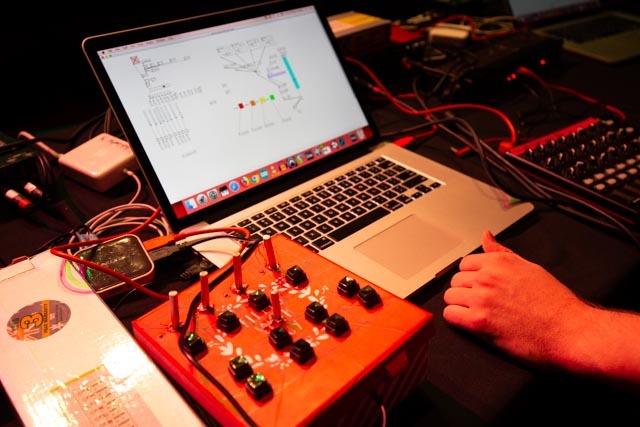 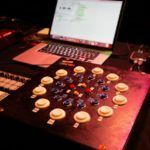 KUDAC’s primary agenda was to engage with the use of technology in collaborative music making, using staff research interests as a starting point for musical exploration. 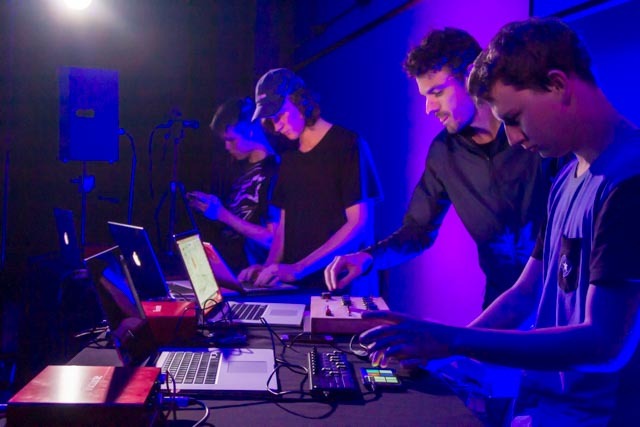 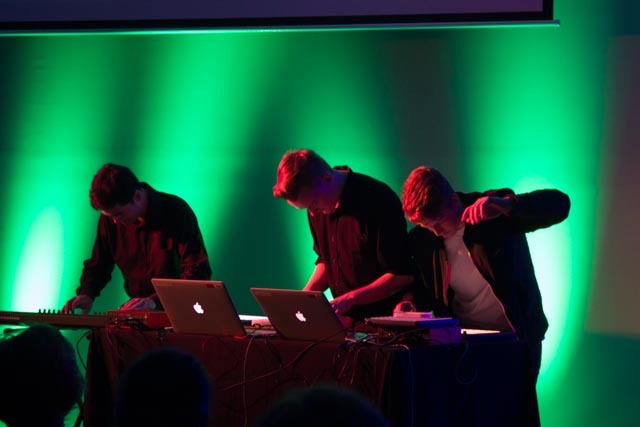 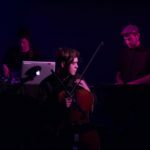 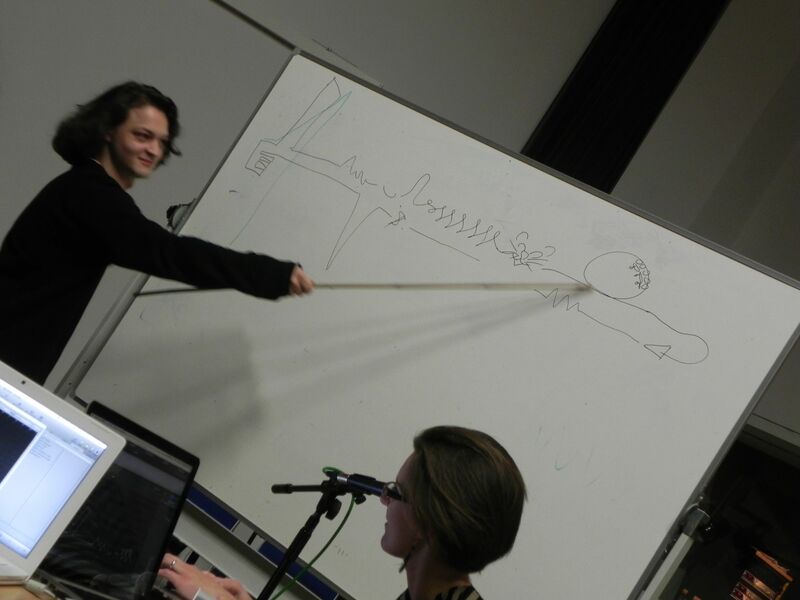 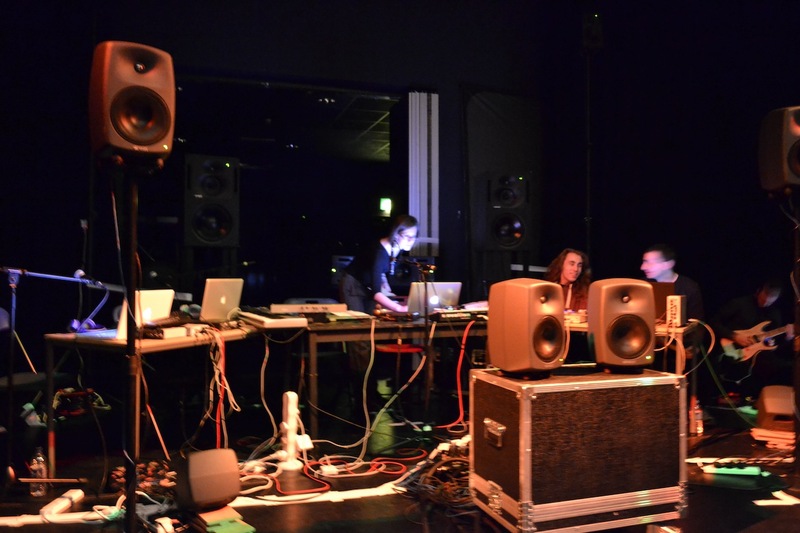 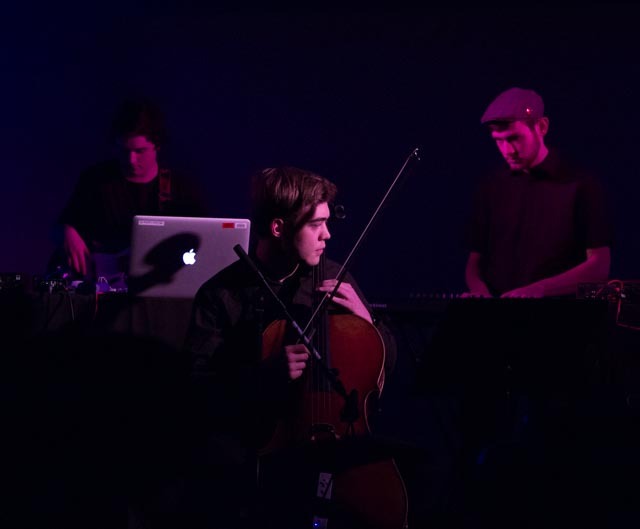 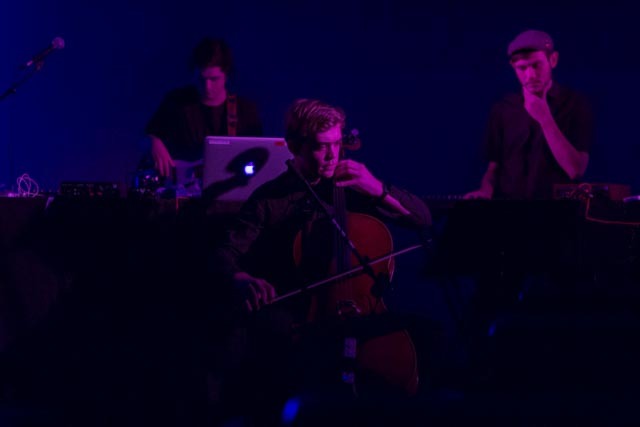 The collective was open-ended and student-focused, with an emphasis on music making with a technological grounding. 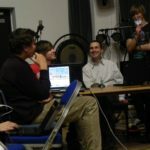 From 2004 to 2010 I was involved in teaching at the International Centre for Music Studies, Newcastle University (UK). 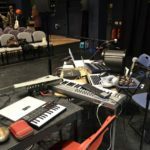 I taught Creative Music Technology, Practical Studies in Popular Music, supervised Individual Projects, and contributed to the teaching of Post-vernacular Composition and Collective Free Improvisation. 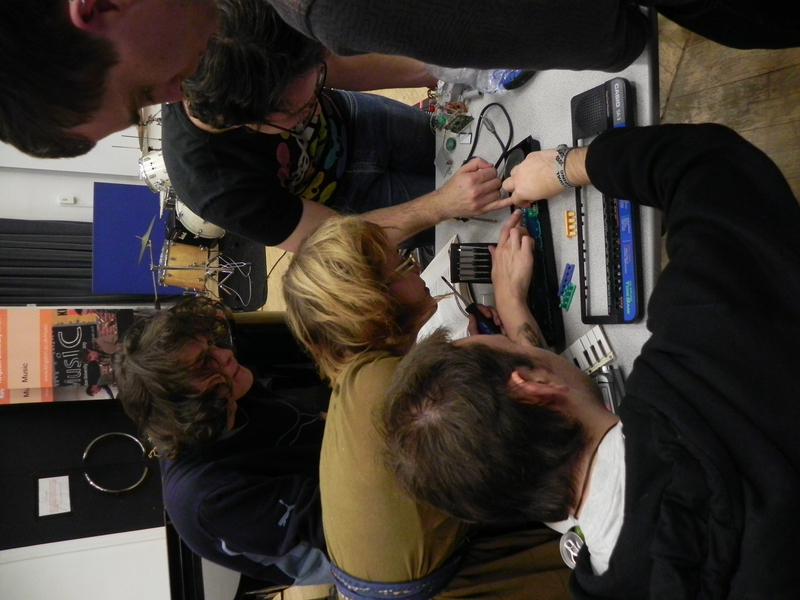 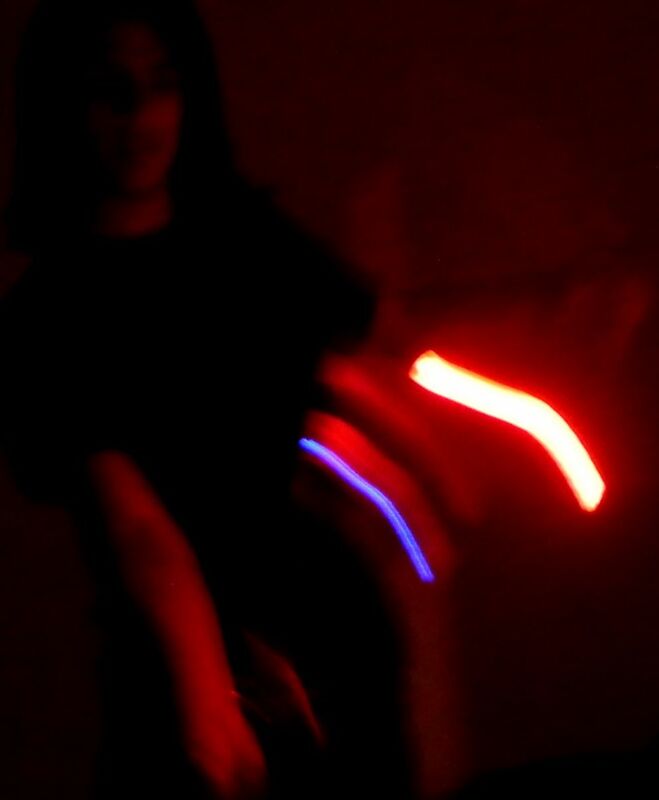 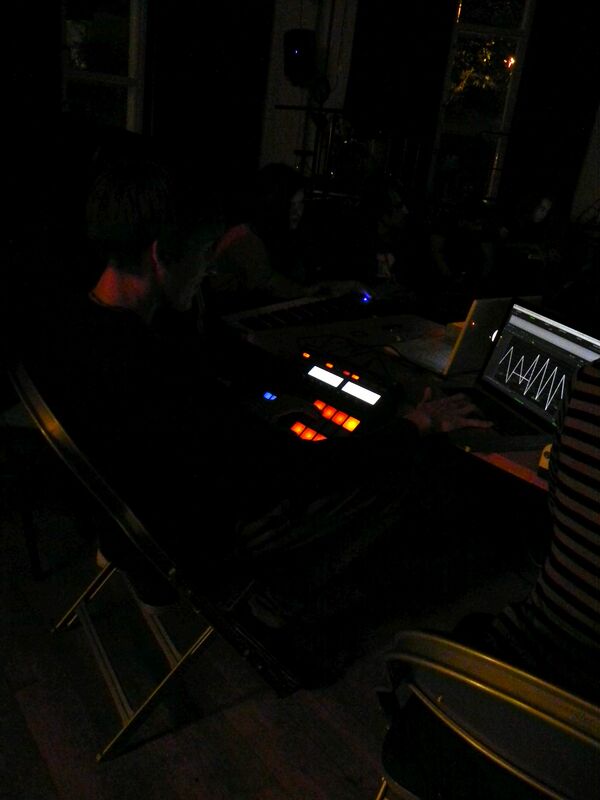 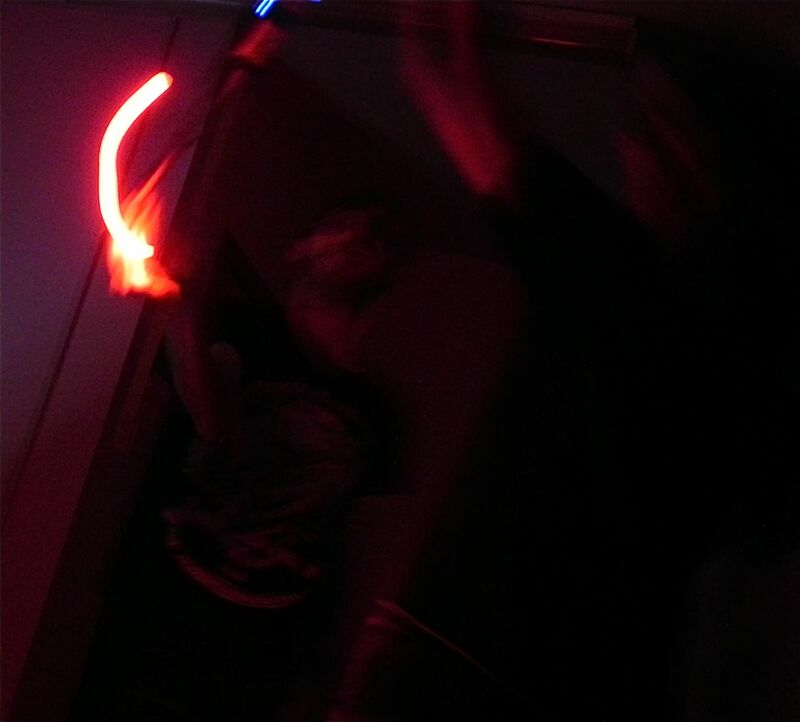 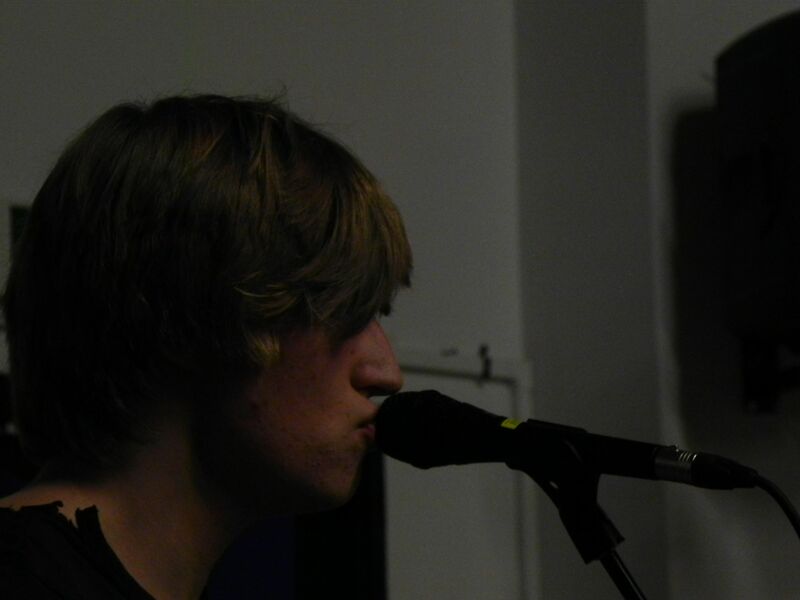 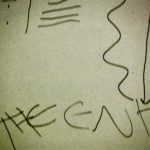 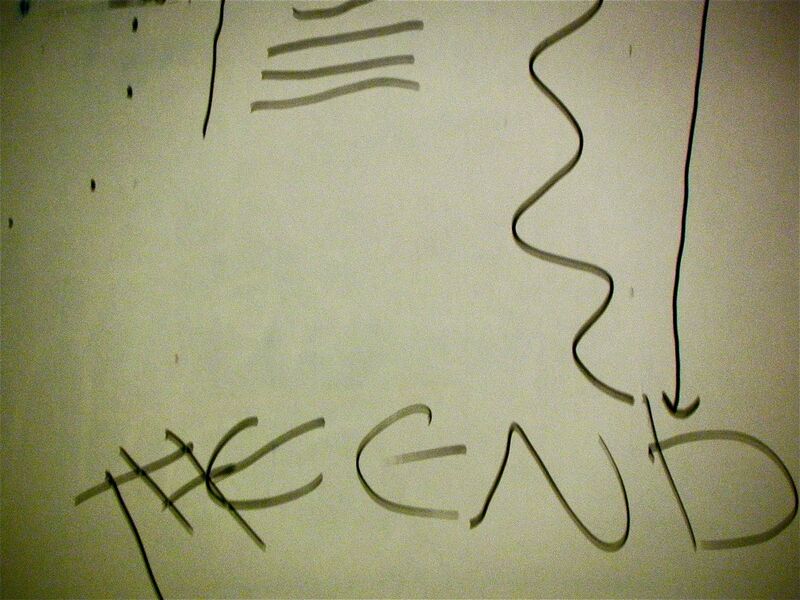 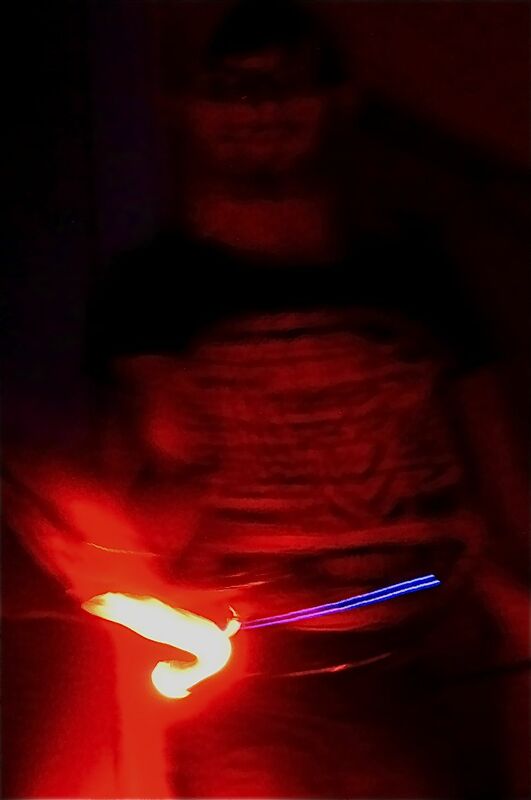 I also engaged in 1-1 teaching of electric guitar and live electronics. 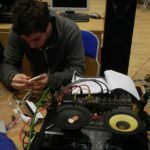 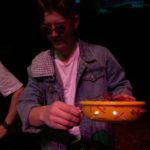 Tim Shaw’s ‘Cupboard Music’ emerged in response to a ‘hacking’ module that I lead as part of Post-vernacular Composition in 2009. 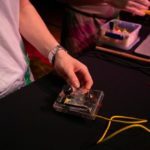 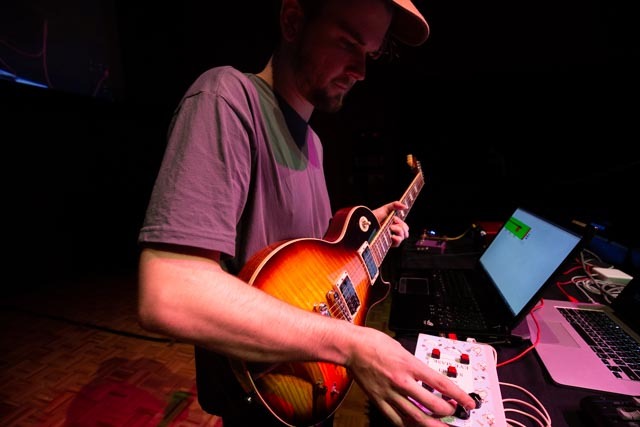 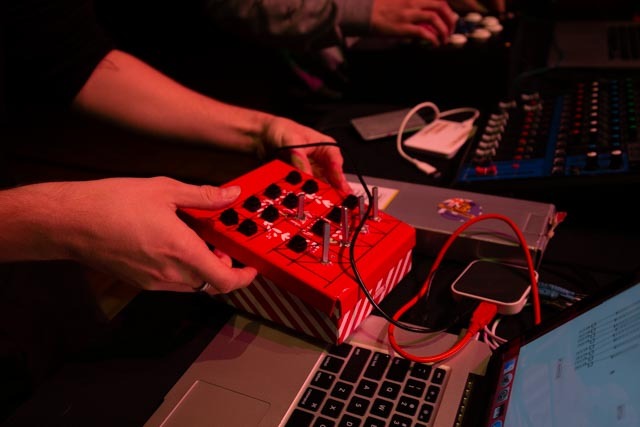 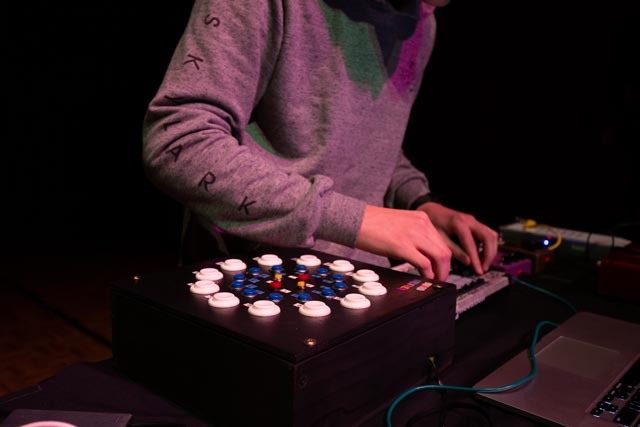 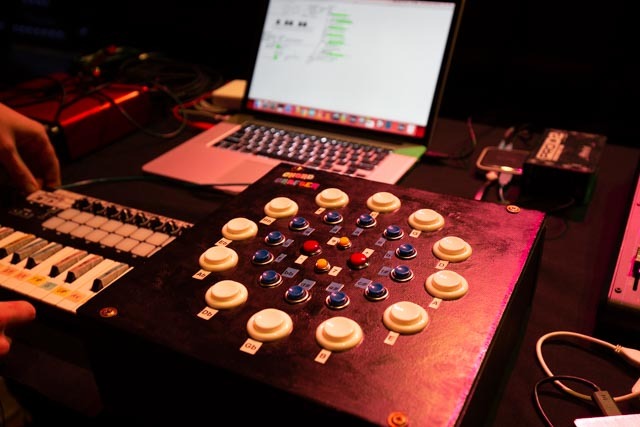 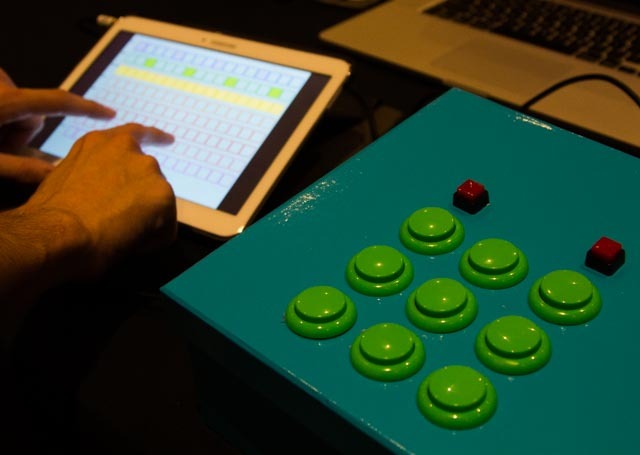 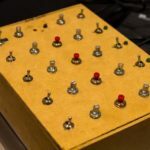 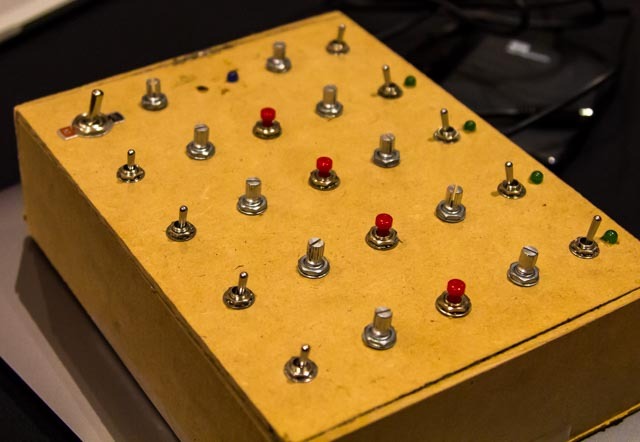 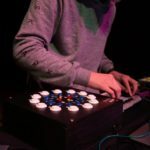 The module introduced circuit bending/hardware hacking and also explored camera tracking with JunXion as a means to extend the flexibility of Ableton Live. See feature on Create Digital Music here.